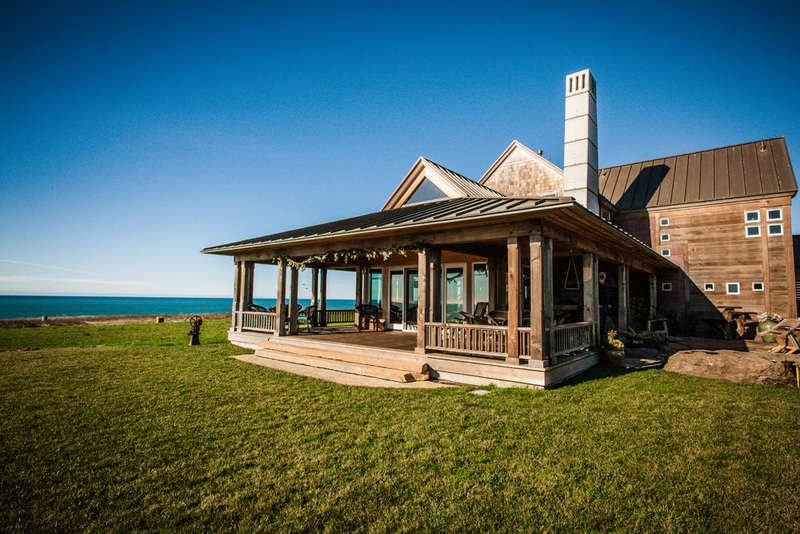 There are few things as important as the venue when it comes to organizing a wedding. Actually, the importance of the venue might even be on par with finding the perfect dress. 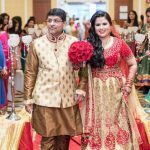 After all, your wedding day is not simply one thing – it is an amalgam of the tiny perfections you’ve chosen that celebrate your love. And a venue is definitely key for the most important day. However, choosing a venue can also prove to be quite stressful and daunting. But, with the right preparation, the perfect venue is certainly not unattainable. So, here are some tips on how to find the perfect venue for your wedding. Finding a venue is one of the most important steps of planning your wedding. But, it is best if you consult a wedding planner before you start choosing. You need professionals who will be able to see what can be done with the venue you like. Remember, this is their job, and they’re much more equipped to deal with the “messy practical bits” of wedding preparation. 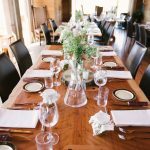 They will be able to see whether your dream venue can actually support your dream day. Talk to them about what you want and what you dream of. They will be able to tell you whether it is achievable. These days, there are wedding ideas basically everywhere. And yes, the perfect wedding in a chateau is certainly astonishing. Marrying in a place where once kings and queens resided is truly exciting. But it is also technically challenging. And what about marrying in a foreign country, on a sandy beach somewhere? 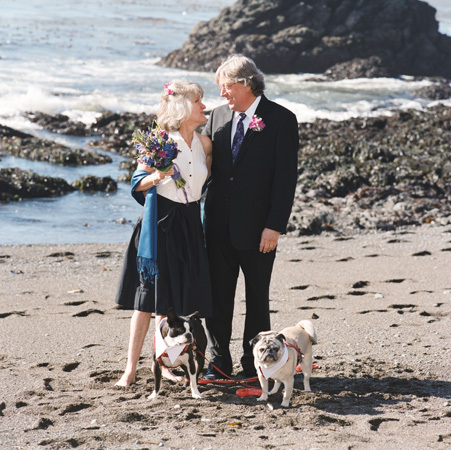 While it may truly be a miraculous event, planning a long distance wedding is not that easy. It’s not impossible, but it’s also quite stressful. That is why you should think about yourself and your partner first and foremost. Ask yourself what feels right to you as a couple. Will you both be having fun on that day? Does this venue reflect your relationship? Ask yourself whether the venue reflects your relationship. While doing research online for a theme, as one does, try to select ideas here and there. Some may fit you better than others. Then blend these ideas with something that you have envisioned. 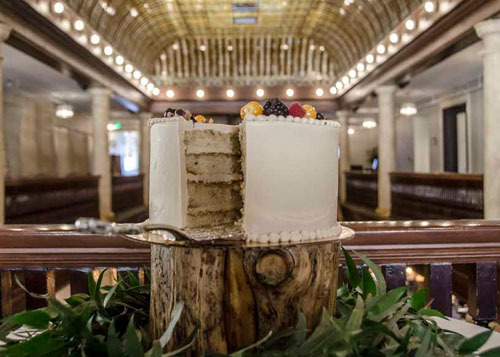 Once you know your theme, choosing the perfect venue will be a piece of cake. Wedding preparations can pass in quite the haze. It is not uncommon to forget that, sadly, there are practical issues that need to be addressed. When trying to find the perfect venue for your wedding, make sure to first sit down and put some things on paper. There are issues like the budget and the guest list that need to be dealt with. And they are essential for selecting your dream venue. 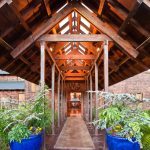 So, here are some of the practical things you should consider when you’re trying to find the perfect venue for your wedding. This will make your job later on much, much easier. With clear factors, you will be able to look at the places you’ve selected (somewhat) objectively. First and foremost, set a budget for your venue. A good rule of thumb is that the price of the venue should not exceed 50 percent of the total amount paid for the wedding. Set a budget for your wedding. Then, you should consider the size, which correlates to the number of your guests. Talk with your partner about the guest list. You should at least have a ballpark number of guests at this point. This will also help when you’re considering the budget, since some of the costs depend on the number of people. Then, you should choose the location of the wedding. 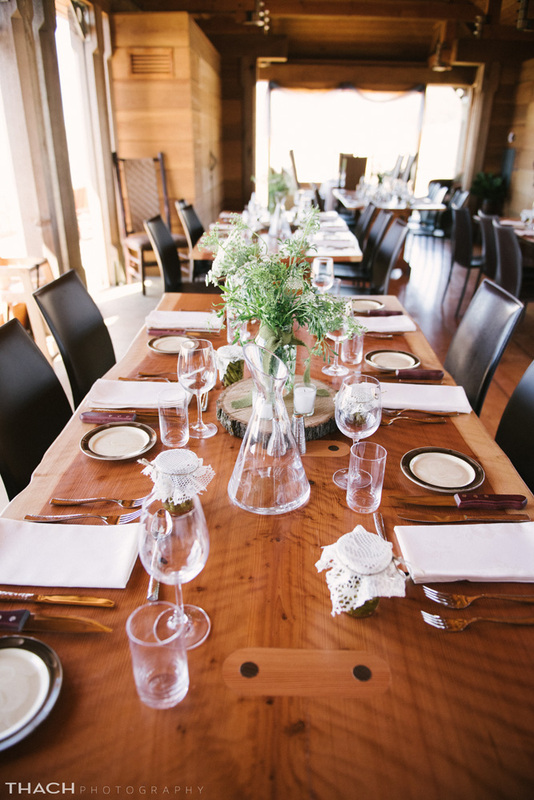 If you have any out-of-state guests, then you should find a venue relatively close to a hotel. In addition, think about the facilities of the venue. 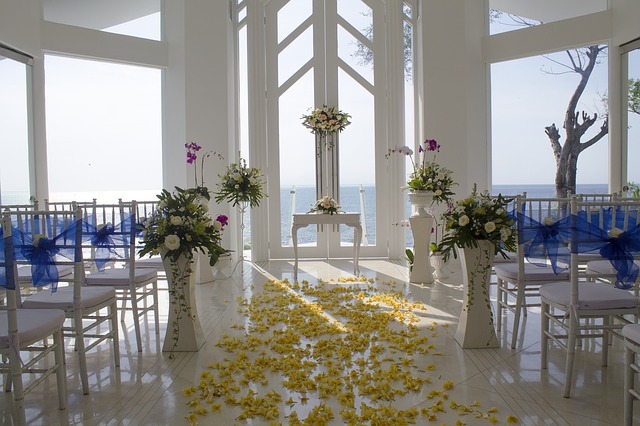 If you want to find the perfect venue for your wedding, it should have everything you need. 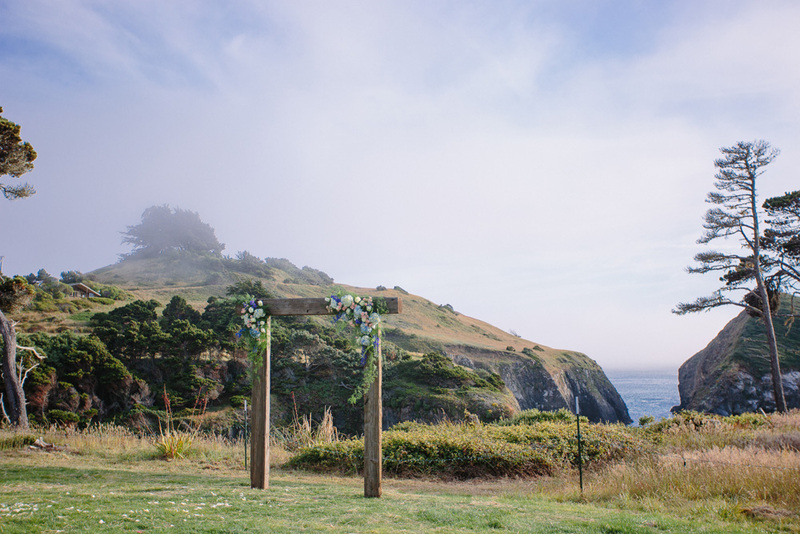 For instance, it should have a ceremony location if you will be getting married there. Also, if it’s out of town, it should have enough parking places. 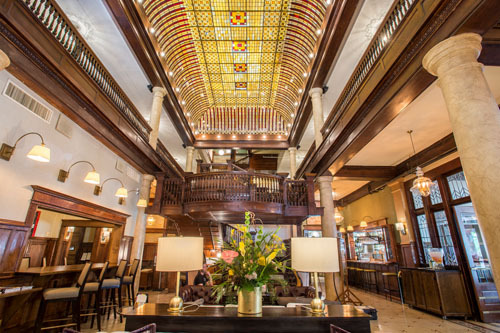 When you’re browsing the Internet, select at least five venues that you find appealing. Remember, they don’t have to be perfect, but they do have to show potential! Work with your wedding planner. You will be able to get a better “read” on some places with the help of a professional. One of the things people neglect to look at is the reviews on the pages of the venues. And they are quite important, as they tell you a story about someone’s perfect (or possibly ruined) wedding day. Now, there is one thing that should be mentioned. 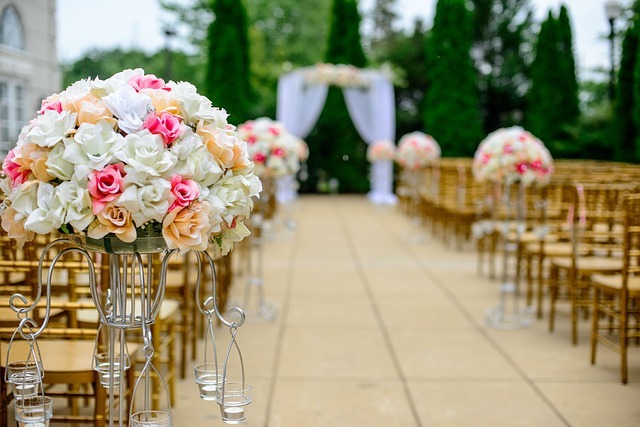 If you find a perfect venue that your heart is set on, but there is a slight issue, always try to discuss with the wedding planner whether that issue can be overcome. After all, if the problem can be fixed, definitely try! For instance, if you like a venue, but it lacks space, there are other ways to solve the problem. 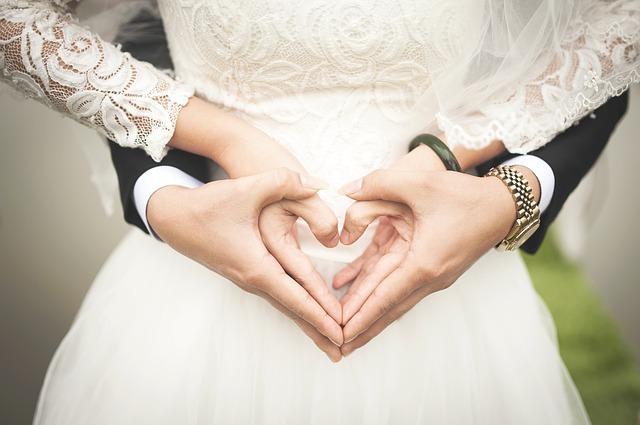 If you see that a venue has no room for wedding gifts, but it’s perfect in any other regard, short term storage solutions can be your best option. That way, you get the perfect venue for your wedding and the extra space you need! With a little know-how, small issues like these are a thing of the past! Go online to find the perfect venue for your wedding. Now, when you’ve selected the five venues, make sure to ask them for dates of availability. Some of the venues can even send you a list of available dates. 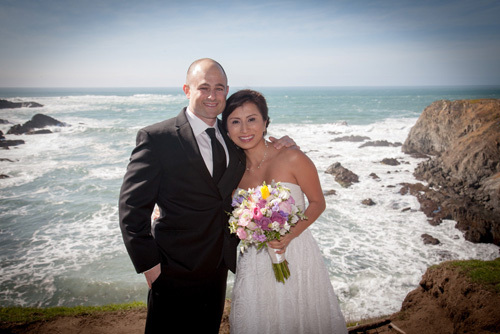 Your options will be much more extensive if you have several dates in mind for your wedding. Once you’ve done that, try to compare them objectively. Of course, if your dates are not available, then those venues are out of the picture. The ones that remain should be put under scrutiny. Check whether the venues fulfil most of the conditions you’ve set. Then rate them accordingly. Select the top two or three and get ready for the next step. 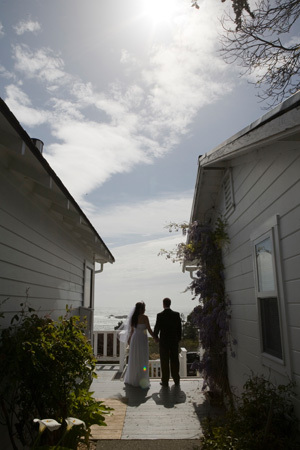 There is truly no better way to find the perfect venue for your wedding but to go there and see for yourself. You will be given a tour of the place. This is then when you should let your imagination run wild. Imagine what you can do with the place. But, most of all, imagine your actual wedding day. If you can envision yourself getting married there and enjoying yourself with your loved ones, then that’s it. You’ve found your perfect place! 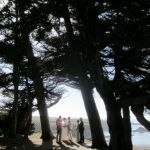 Want to Elope? 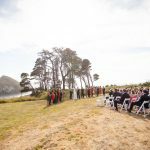 Here are Awesome Places to Get Married Fast in California! 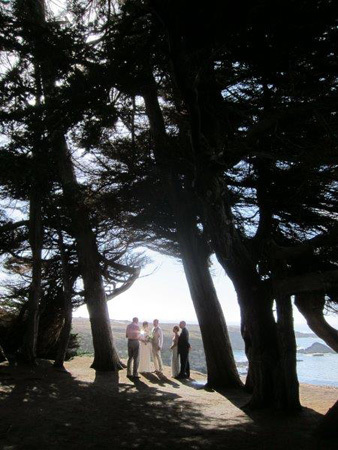 In a previous article, we broke the news about getting married on the Mendocino Coast of Northern California. 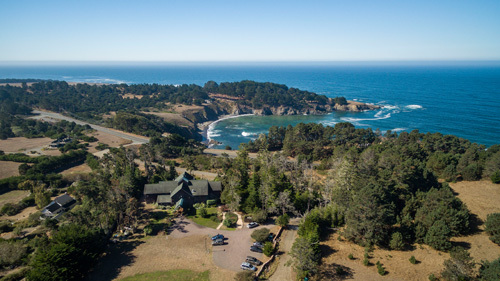 Just three and a half hours north of San Francisco, this paradise-on-the-Pacific has miles of pristine shoreline, forests of ancient redwoods, award-winning wineries and quaint inns and resorts. 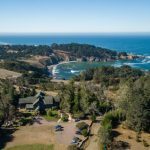 Mendocino is known for laid back elegance, with haute cuisine and fine wines served up without the hauteur or the inflated prices. But what if you want to get married really fast? Without all of the all-consuming planning? 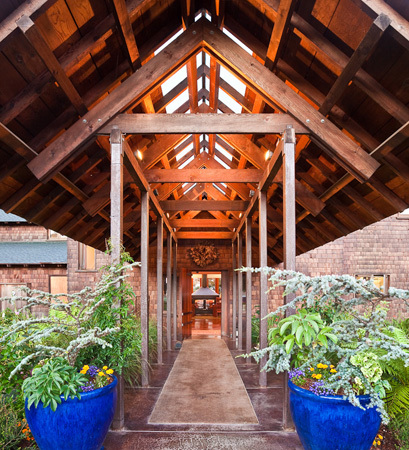 Former Vogue editor André Leon Talley says the Brewery Gulch Inn is one of his favorite hotels in the world. 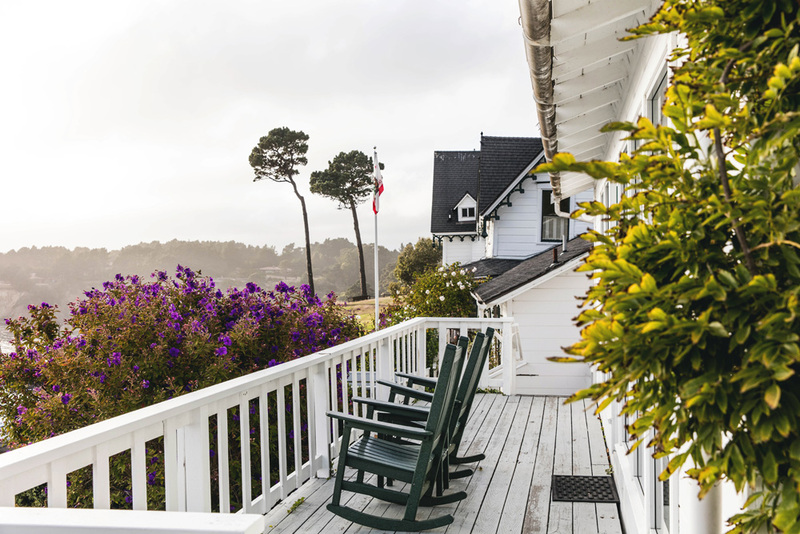 Travel + Leisure just named them the #2 Best Resort in California and one of the top 15 resorts in the Continental US – and for $1,000 you can be married in this dreamy inn. 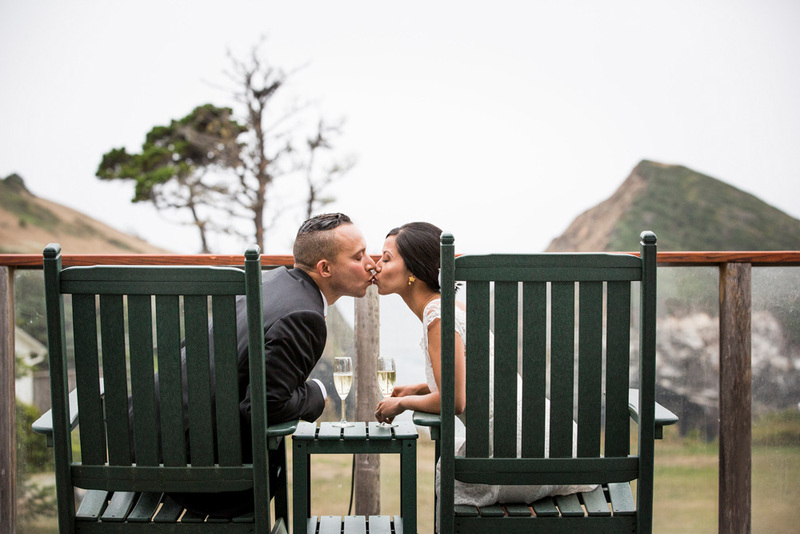 They handle everything – from ceremony and celebrant to photos and flowers. 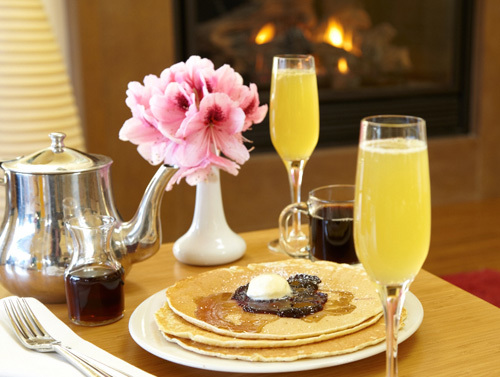 For $1,600 they also provide the cake, hair and make up, Roederer sparkling wine, and a couples’ massage. The ambiance is like staying in the elegant Arts and Crafts country home of a dear friend, with fluffy feather beds and soft throws in front of the fireplace in your room. Their Executive Chef only cooks for guests and hand made pastries are always on offer by the front desk. 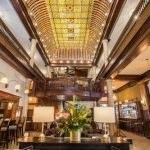 Accommodations are extra and you will savor selecting from one of their delightful rooms – they only have 10, the better to treat each guest like a VIP. Room prices start at $335. 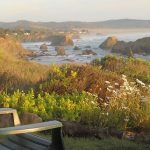 Just down the coast you will find the Little River Inn, a mini-resort surrounded by rolling lawns that connect to uncrowded Van Damme State Park. 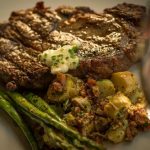 In addition to a chef-driven restaurant (they are awarded “Best Crab Cakes on the Coast” year after year), they have an Audubon-certified 9-hole golf course, regulation tennis courts and a full service salon and spa. 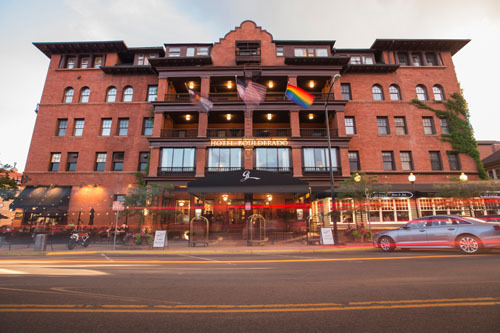 This property has been the same family for five generations and couples who have been married there sometimes come back for decades to celebrate their anniversaries. 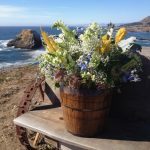 The Inn’s elopement package starts at $2,300 and includes Champagne or sparkling cider and memory glasses upon arrival, an hour with a professional photographer, officiant, cake, flowers, a three-course dinner with hand-selected wine, breakfast in bed, and up to five hours consultation with their events coordinator. You pay for your room separately but you have many choices. 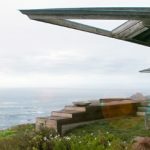 They have 66 rooms, starting at $180 a night and running all the way up to the stand-alone seaside Mallory House with a private view hot tub on your deck. 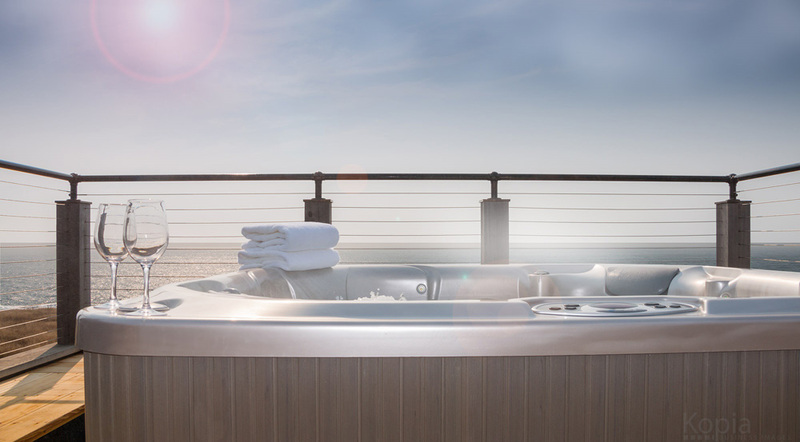 The Inn at Newport Ranch sits high atop rugged cliffs and has panoramic views across the ocean. 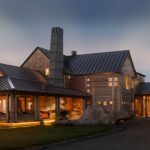 Built in 2015 to be one of the most atmospheric properties on earth, this architectural wonder is set on 2,000 exclusive acres with 20 miles of private trails and beaches at your disposal. 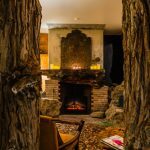 Other highlights include a view hot tub on an old water tower, whispering sweet nothings in their enormous walk through fireplace and feasting on “ranch comfort” cuisine. 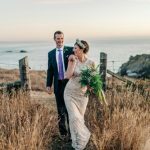 Their elopement package starts at $2,750 and includes a two-day adventure in this serene, untouched wilderness, complete with fresh flowers and chocolate-covered strawberries when you arrive, an ATV ride to select a perfect, perfectly romantic spot to say your vows, three-course dinners the night before and the night of, photos, cake, officiant, sparkling toasts, and more. 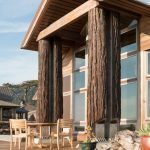 Choose among rooms in five fabulous buildings, including the Grove Suite, which has floor to ceiling redwood trees and sweeping views over the Pacific. Rooms at the Inn at Newport Ranch start at $350. 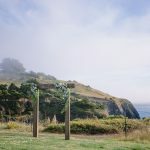 If you like the dramatic cliffs of Half Moon Bay – and the foodie charm of Napa – but don’t want your destination wedding to be a budget buster for your guests, you should check out the coast of Mendocino County. 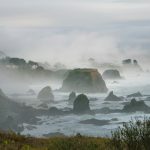 Just north of the rolling vineyards of Sonoma and a three and a half hour drive from San Francisco, Mendocino has award-winning wineries of their own, a generations’ old tradition of hyper-local cuisine, and most of all, miles and miles of pristine coastline with sweeping views of the Pacific. 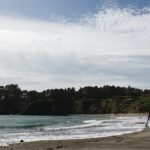 Uncrowded, with a friendly casual atmosphere, Mendocino has been a favorite secret destination for couples who love the outdoors for many years. Activities abound. 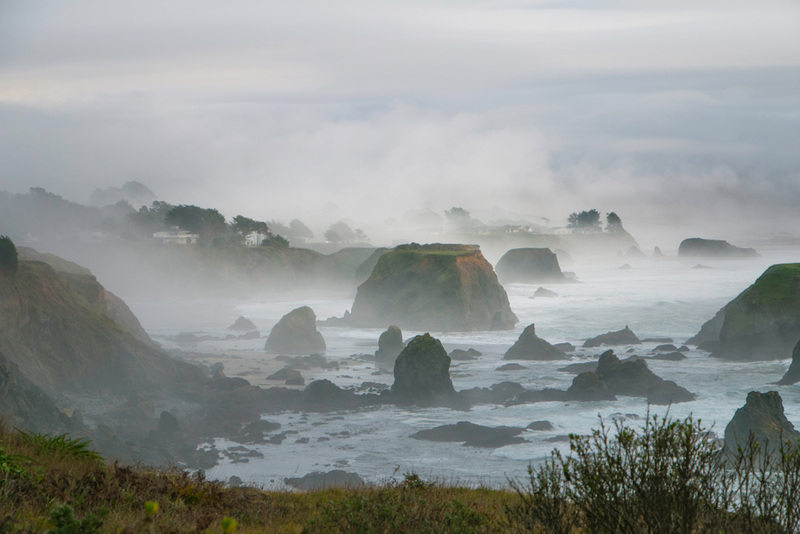 Hike through some of the oldest redwoods on earth, explore sea caves and gentle rivers on a kayak, wine taste without the fees, or just stroll the quaint Victorian village of Mendocino and browse art galleries and boutiques. 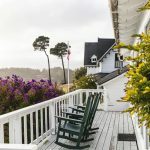 You won’t find big chain hotels on the Mendocino Coast but you will find inns with charm to spare and experienced wedding planning staff. 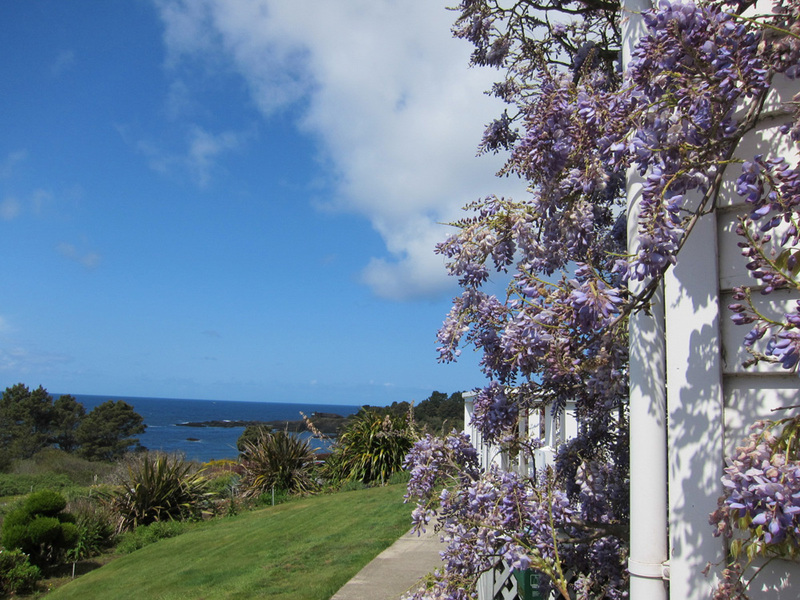 You can host up to 200 at The Little River Inn, the Mendocino Coast’s only full service resort. 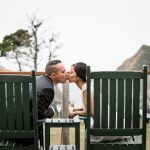 The original inn is a stunning wedding cake Victorian overlooking the Pacific that has been augmented with more modern buildings tucked around it. 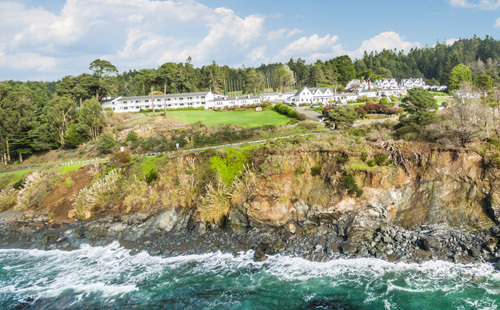 The property has 66 rooms at every price point – every single one with views of the ocean. 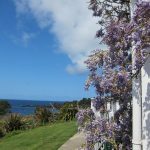 Run by the same family for five generations, the Inn is extremely geared to families and kids – they even welcome the family dog. 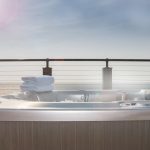 Amenities include an onsite spa and salon, an award-winning restaurant, and Ole’s Whale Watch Bar, where you can do just that over a locally brewed beer and a chat with a crusty local. Packages start at $6,000. 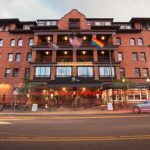 Options include the fun Game Day package that takes advantage of the inn’s regulation tennis courts and golf course (for up to 80; starts at $11,500). 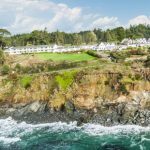 Or select the elegant Mallory Cliff Top, (starts at $24,000 off-season for 200 people) with a romantic bluff-top ceremony, an additional catered event, and four nights use of a stand-alone seaside cottage complete with two private ocean-view hot tubs. 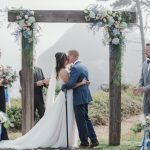 For a more intimate affair, the Inn at Newport Ranch is an elite playground on a 2,000-acre private preserve where you can have a wedding of up to 99. 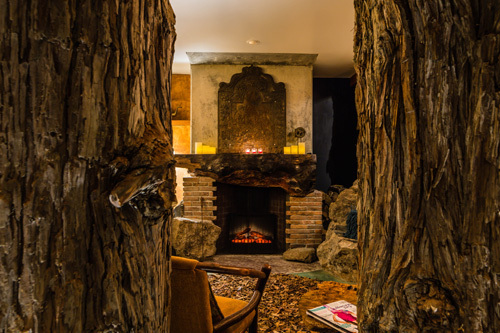 The recently built inn oozes rustic chic – from the Main Inn with a walk through fireplace to the Fireside Spa in a grove of redwood trees. 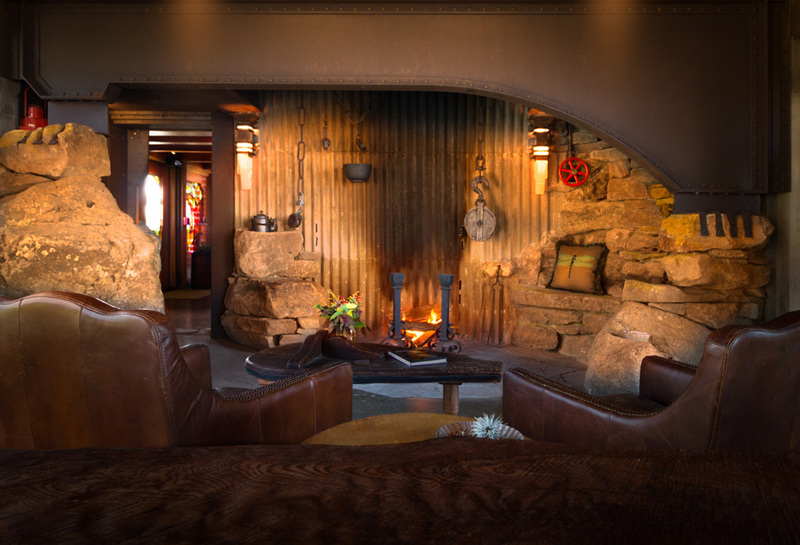 The fascinating buildings were handcrafted with the object of bringing the stunning outdoor setting inside and the property is totally unique. 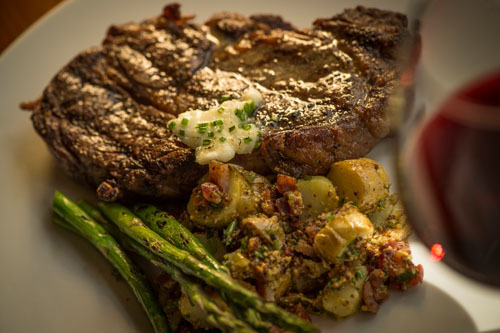 It has the ambiance of a 5-star resort and much of their “ranch comfort” cuisine comes from their own organic gardens. 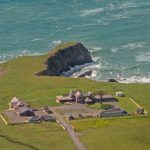 There are 20 miles of trails, empty beaches, stands of ancient trees, and 50-mile panoramic views across the sea from their 7-person hot tub on a re-purposed water tower. 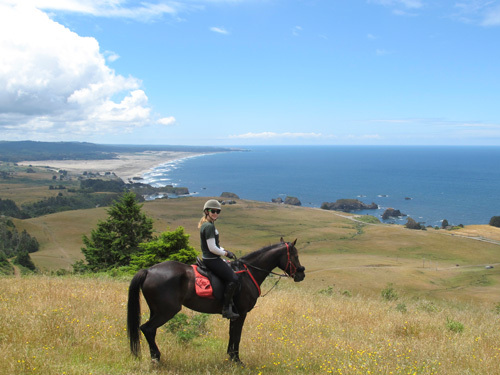 You can explore on foot, horseback, or via an ATV-tour. 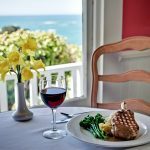 Because the wild and wonderful experience is why you come to this wind-swept corner of the world, all of the packages require you to reserve all of the property, which sleeps 34. 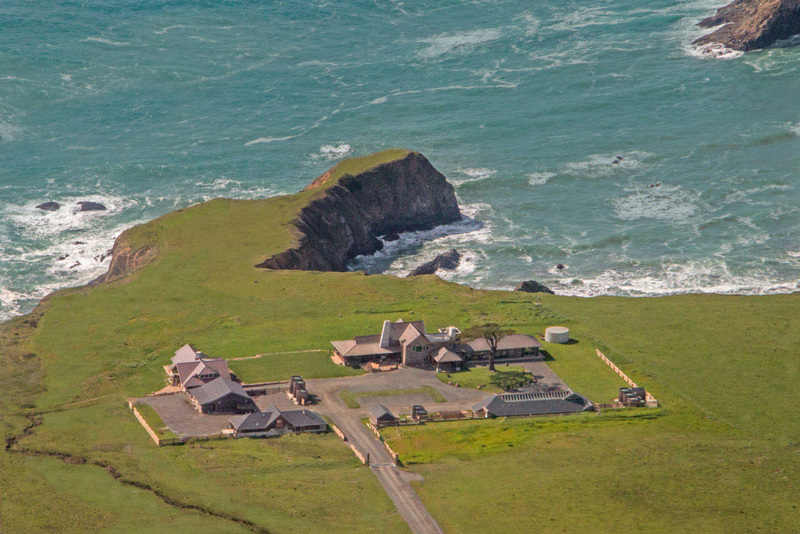 Kids are only permitted with a buyout of the property and pets must be left at home – the inn is adjacent to a working ranch. Weddings for 6-34 people start at $20,000. 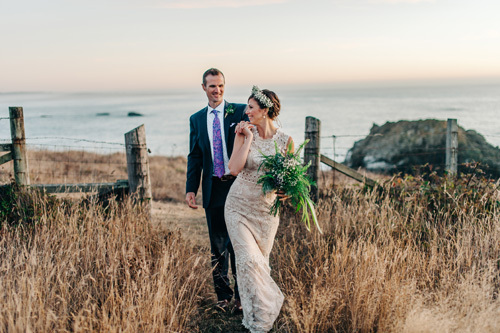 At the upper end, the Coastal Bluff wedding for up to 99 starts at $55,000 and includes three full days of events for your guests – from your rehearsal and welcome reception the night before overlooking the Pacific to the full ranch breakfasts the day after your ceremony. **Contributed by Emily Polsby | Images used with permission. 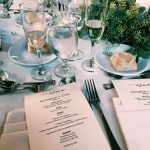 There’s the neatly packaged wedding, and then there’s your dream wedding – a unique and authentic experience that your guests will remember for a lifetime. 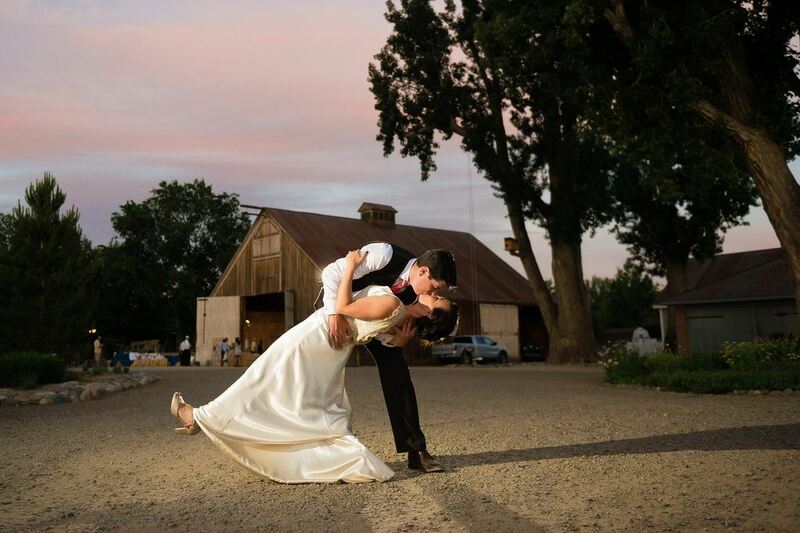 In Carson Valley, weddings are legendary. Unprocessed adventures appear fresh daily. 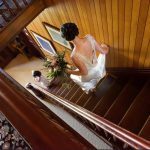 Real characters introduce you to wild horses, whitewater thrills, off-piste powder, vast golf courses, trails, glider rides, charmingly creaky restaurants and the perfect bar stool for rehearsing your magical day. 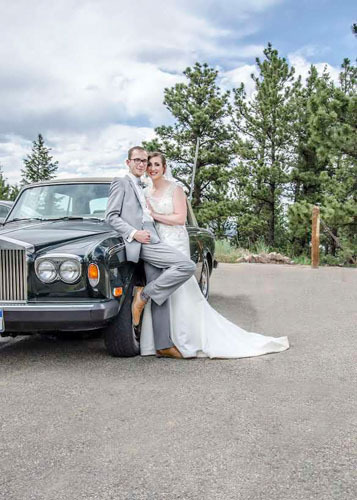 Carson Valley is a wedding destination that gives ‘dream wedding’ a whole new meaning. Carson Valley goes beyond rustic. 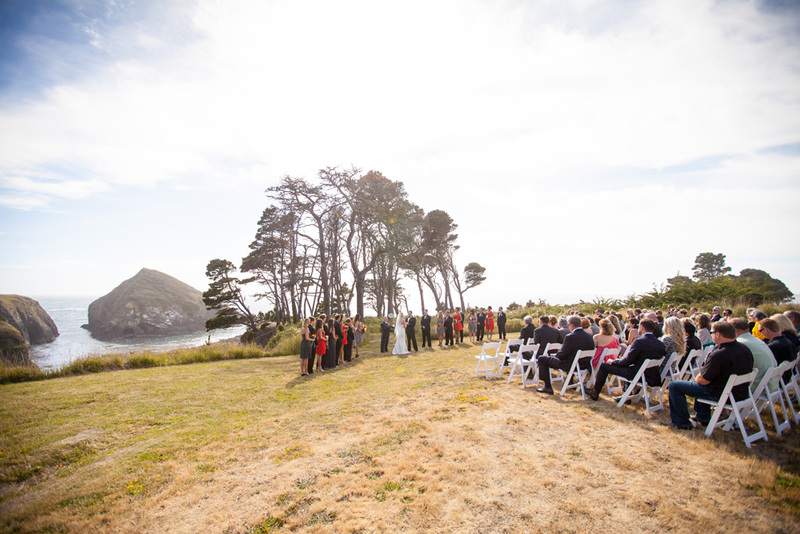 It is the Great American West, where your wedding can be as big as the landscape. In Carson Valley, the Sierra Nevadas cast a panoramic mountain backdrop, the sun shines 300 days a year, working ranches stretch as far as they eye can see and romantic historic buildings dot the charming communities that make up the valley, including Gardnerville, Genoa, Minden and Topaz Lake. 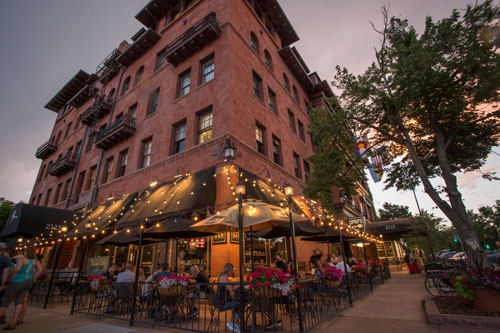 Carson Valley beckons you to unplug into a pace that’s reminiscent of an older time while also being very convenient with wedding-ready weather all year ‘round. Your wedding guests will appreciate the convenience of Reno International Airport, just 45 miles north of Carson Valley. At an elevation of 4,700 feet and sheltered by the Carson Range of the Sierra Nevada to the west and the Pinenut Mountains to the east, the broad Carson Valley enjoys relatively mild winters among its four distinct seasons. 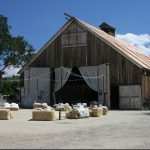 Weddings in Carson Valley invite your guests to discover outdoor adventure, wildlife and entertainment, or the opportunity to completely unwind. In Carson Valley, there’s an activity for every guest; from thrilling mountain bike trails to hot spring soaks, scenic hikes to historical tours. 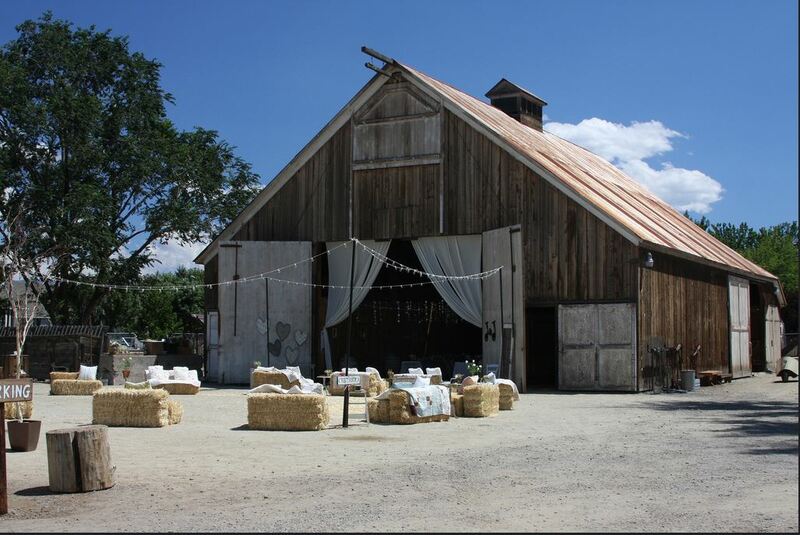 For more about planning a wedding in Carson Valley, visit visitcarsonvalley.org/what-to-do/groups-weddings. More About Carson Valley: Nestled at the base of the Sierra Nevada, Carson Valley begs visitors to not just drive through it, but to it. 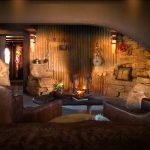 Located 45 minutes south of Reno-Tahoe International Airport and 12 miles east of South Lake Tahoe, the region’s natural beauty is legendary: wide-open farms, ranches, bands of wild horses and birds of prey dot the landscape. 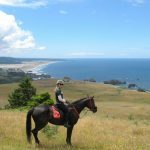 Outdoor recreation enthusiasts follow all points of the compass with more than 50+ miles of hiking, mountain biking or walking trails along with world class road biking. 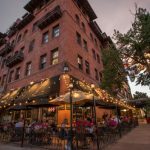 The valley’s museums, arts, antiquing, Basque dining, historic watering holes and more add to the destination’s authentic culture. The region includes the communities of Minden, Gardnerville, Topaz Lake and Genoa, Nevada’s first settlement dating back to 1851. Explore the land of everyday legends at VisitCarsonValley.org. Content supplied by RAD Strategies. Images used with permission. If you are shopping for a wedding dress, take a moment to think about how you may be paying for it. You might take out your debit card. Or credit card. Some may even write a check. It sounds like an easy and normal transaction. But Queen Elizabeth (then Princess Elizabeth) did not have such an effortless way to pay for her wedding dress. When Princess Elizabeth and Prince Philip married in November of 1947, the British government was still recovering from the ravages of war. Rationing was still a way of life for everyone. This included the royal family. So, the princess saved up clothing coupons to buy her wedding dress. That’s right – she had to save just like anyone else. This was a very important time of recovery for England. Times were tough. There was a slight exception as Princess Elizabeth was granted 200 extra ration coupons for her royal nuptials, and citizens tried to donate theirs through the mail. However, each mailed-in ration coupon had to be returned. It was illegal to transfer them. The princess had to make her budget work. 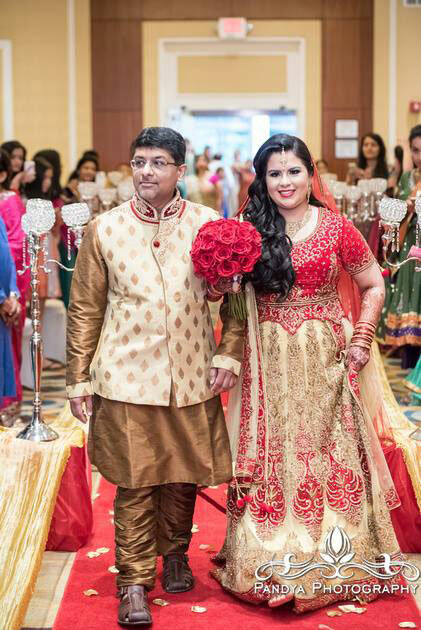 Made from ivory silk and decorated with 10,000 seed pearls, her wedding dress was simply beautiful. It was made from Chinese silk from China (as opposed to Japan or Italy, given it was still so soon after the war) and its 15-foot train was inspired by Bottielli’s painting of Primavera from 1482. The dress was also covered in delicate floral designs. The wedding dress was meant to symbolize “rebirth and growth” in Britain after the war. In total, the gown took 350 women seven weeks to make. Princess Elizabeth followed the rule of the day. Her wedding was just as royal and regal. In fact, it’s a legendary part of English history. Now let’s turn to another story. Image having a wedding dress that’s literally part of your family history. A dress that your great grandmother, grandmother and mother wore. It’s been in the family for 85 years! Maria Teresa Moreno ― known by her relatives as “Grande” ― first wore a single silk long-sleeved gown way back in 1932. Grande’s granddaughter, Marta Prietto O’Hara, wore it in 1983. Followed by Elena Salinas, Grande’s granddaughter and Marta’s younger sister, in 1997. Most recently, the wedding dress was passed along to Pilar O’Hara Kassouf, Grande’s great-granddaughter, to wear in September 2017. This unique family wedding dress tradition started when Grande, a talented Los Angeles seamstress who was born and raised in Mexico, fell in love with a wedding dress she saw in a department store window. Instead of rushing in to buy it, Grande took the time to recreate it by hand for her wedding to Manuel Moreno. 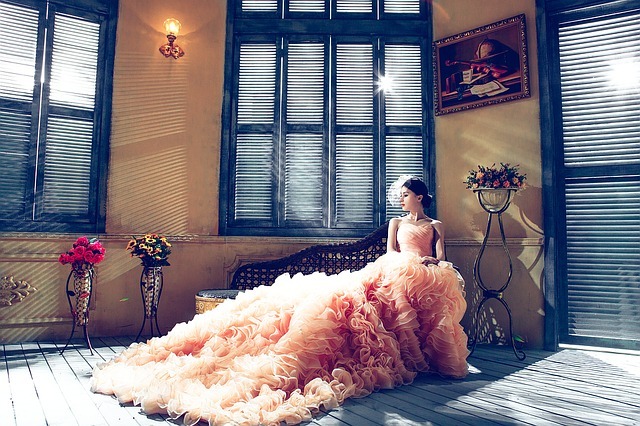 While a typical wedding dress usually is a bright shade of white, this dress has been described as creamy gold in color. To the touch, the fabric has a luxurious, buttery texture. Believe it or not, it’s never had any major alterations. Generation after generation – it just fits. The only alterations made over the years include removing a portion of the original 9-foot train, changing the back of the gown to a deep V shape. Changes to beading, lace trim and other minor elements have also been made. But overall, its appearance has remained similar. 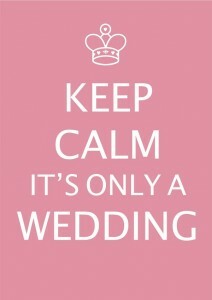 Wedding planning has everything needed for successful reality television – ups, downs and everything in between. The importance of the day combined with preparation demands provides enough drama to make for interesting viewing. It is no wonder why the many wedding shows such as Four Weddings have thrived. Bravo is known to feature specials typically for housewives that are getting ready to tie the knot. Real Housewives NeNe Leake, Kim Zolciak-Biermann, LuAnn de Lesseps and Bethenny Frankel were all front and center for Bethenny Getting Married. Their dramatic personalities, when combined with the stresses of wedding planning, make for great entertainment. On the other hand, wedding shows like Four Weddings have what I find to be an interesting nature. It essentially rates how the day went based on many factors such as food and venue. However, aren’t the differences in wedding simply a reflection in different individual preferences? Isn’t a special wedding day by nature supposed to be unique? How is execution of such a special day confined to such generic categorical ratings? These are all the questions that run through my mind when I tune in to such shows. I mean – at the end of the day visions will obviously differ. So how is it rated on such a simplistic and standardized scale? I realize that I am over analyzing this to the upmost degree, but I am doing so because I think reality TV is some cases can DILUTE ACTUAL REALITY. Believe it or not, I am not completely against these shows, as I watch them! In fact, some good can come of these shows. They can serve as source of wedding planning ideas and plain reassurance that it all works out in the end. There has yet to be an episode in which the bride and groom have not been completely smitten with one another at the end of the night. Despite dramatic twists and turns that run its course throughout an episode, there is always a moment of gratification shown. In the end, both bride and groom could not be any happier for the fact that they are spending the rest of their lives together. These days, everyone seems to need a little reassurance that it all works out in the end. Are you interested in checking out some of the best wedding shows on TV? 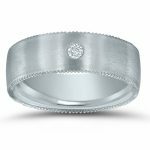 Ranker.com has a great list of wedding shows, and you can vote for your favorite. If reality TV isn’t your style, then maybe a featured wedding movie on Netflix is more to your liking. A wedding is a time for family and friends to come together from near and far to celebrate the special day for the bride and the groom. 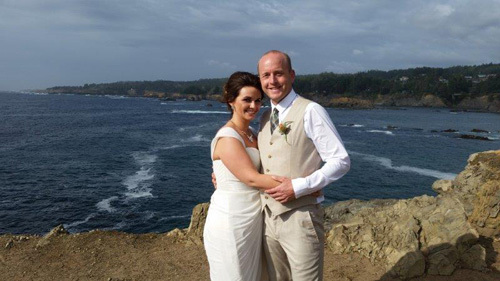 This past weekend I got to witness the marriage of my cousin Meaghan and her husband Chris. Now I could tell from the beginning that they had something special; something worth holding tight and making last forever. This was only further reconfirmed on their wedding day. I noticed that despite the chaos that accompanies such an extravaganza, they both seemed at ease. Nothing could get in the way of their perfect day because their “perfection” was already achieved – they had each other. The wedding ceremony and reception was beautifully done, with anything and everything thought of and executed at a ten. An attention to detail was evident and exuded an ornate environment that was yet comfortable. 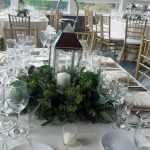 This was achieved through an elegant farmhouse rustic feel that was embellished through fall tones, candle light and greenery. Not to mention the expansive patio that opened off of the rehearsal dinner that overlooked the lushness of fall. The warmness of the décor was matched with a night of great food, drink and company. In my eyes, my cousin nailed it. She showed me that it is possible to have the detail every bride craves to achieve without it getting into the way of the true meaning of the day. It is easy to lose sight of what is truly important due to the demand and pressure of such an event. 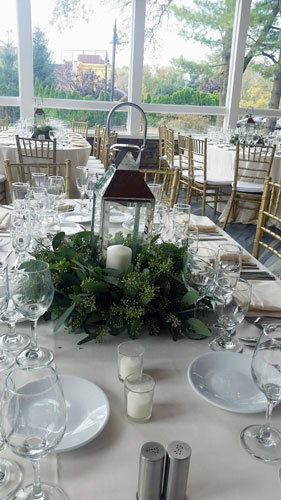 The venue and décor was perfected however it was the memories transpired that really surpassed all expectations. Genuine enjoyment marked each guest’s face but most importantly it shone on the new husband and wife. Truly nothing could get in their way of a good day because it represented something more than just a grand party, but the start of a new chapter. In life, there are certain facts to face. 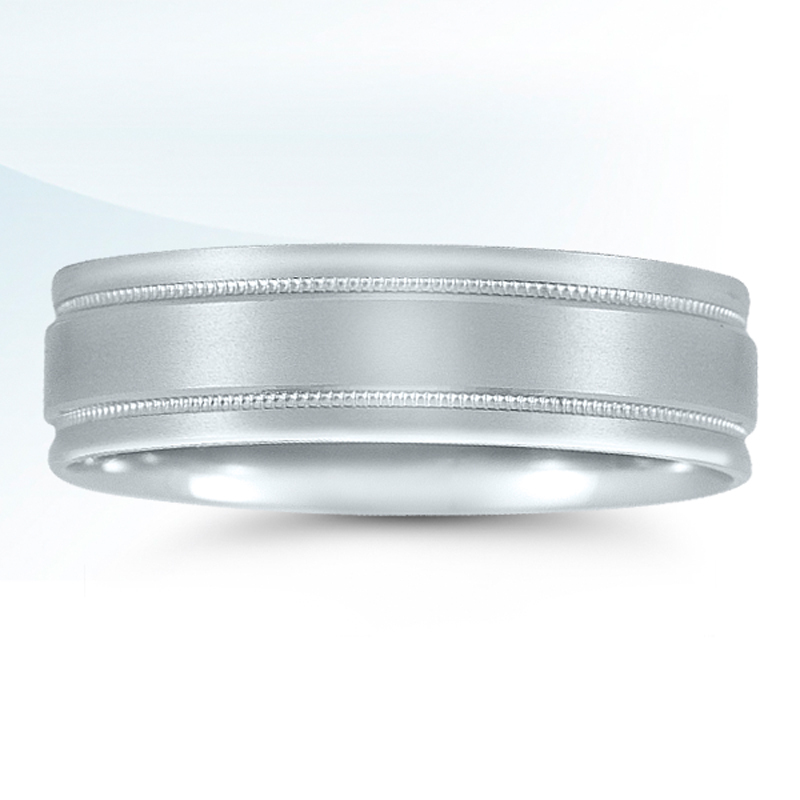 When it comes to wedding costs, it’s simple! Weddings are expensive. In fact, they are VERY expensive. These days, you really have to be smart about your wedding costs. Whether you have a lot ($100,000) or a little ($1,000) to spend, all it takes is a little advice, some serious planning and a few money-saving tricks. The truth is – you can have the wedding you always wanted. And guess what? You can keep your wedding costs reasonable without anyone missing anything. 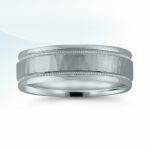 TheKnot.com recently reported that the average price of a wedding is over $35,000. That’s sometimes what a starting salary is for a young couple just out of college. Getting married might not be easy as it seems. So, if you are looking for help with your wedding costs, our friends at Investment Zen have come up with this AWESOME infographic that helps break everything down for you. 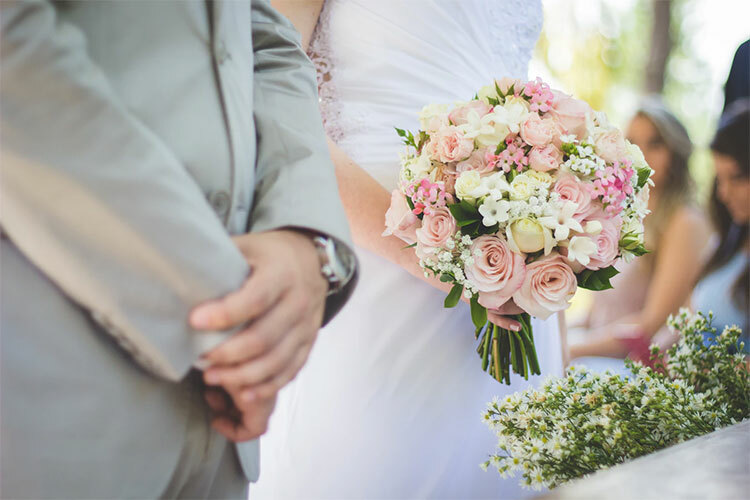 They look at the expenses, trends, and statistics of weddings from 2016 and provide a few tips to help you keep more of your money in your pocket. 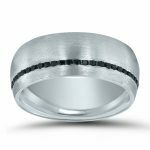 And with more money in your pocket, you can think about making sure that the groom-to-be buys a precious metal ring instead of settling a cheap alternative metal ring that can’t be sized. But that’s another story for another day! White Castle Wants to Give You a Royal Wedding! Almost every little girl at some time dreams of marrying her Prince Charming in a castle. Sometimes it’s a WHITE castle! With that being said, mini-burger chain White Castle is making this dream come true. White Castle wants to give one lucky burger-loving couple a complete wedding package, including a “royal wedding” at its Las Vegas location. The couple will also receive a free honeymoon in Belgium. What’s in the White Castle “Royal Wedding” prize package? 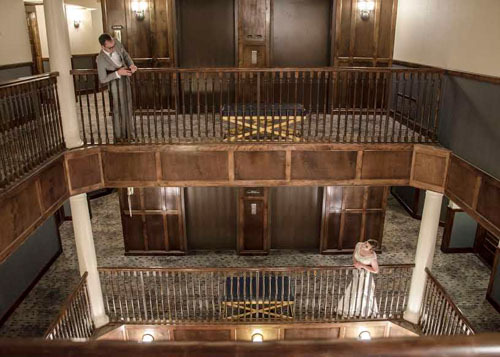 White Castle’s “Royal Wedding” package includes a rehearsal dinner, unforgettable ceremony and spectacular reception with includes wedding cake, flowers, décor, music and professional photographer. After the special day is complete, the winning couple will then enjoy a luxurious five-night honeymoon in a Brussels historic castle. Included in the package is round-trip airfare, ground transportation, and three nights’ hotel accommodation. A food and travel allowance is also part of the prize. In addition to the Royal Wedding grand prize, White Castle is also giving away two packages of White Castle menu items and non-alcoholic refreshments for up to 200 people. These receptions can be held anywhere in the continental United States. So even if you don’t win the BIG prize, you have a chance to win your own burger-related wedding experience! White Castle burger lovers looking to make their fast-food wedding dreams a reality have until July 31 to enter the contest. 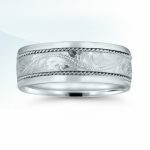 Visit www.whitecastlewedding.com and share your very own “royal” love story for a chance to win. If you are going to enter – keep this in mind. 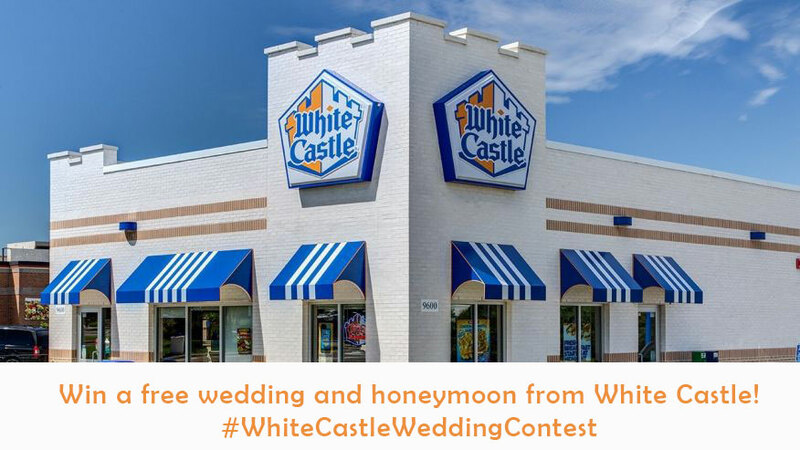 Submissions must be shared on social media using the hashtag #WhiteCastleWeddingContest to be eligible. A panel of qualified judges at White Castle will select the Grand Prize and First Prize winning couples. Winners will receive an email on or around September 15. Act fast! July 31st is just around the corner! Did you know that over seventy-five other burger-loving couples have been married in a White Castle? However, this will be the first time the Las Vegas location has hosted a wedding (according to the chain). We absolutely love this promotion. Anybody can be married on a beach. Or overlooking the countryside. Not everybody has or will be married in a White Castle! The burger chain is not the only fast food restaurant to get into the wedding business. Taco Bell offers a $600 wedding at their Las Vegas Cantina chapel. But this is free! And you get to see part of the world. Who could ask for anything more? Summertime is prime ice cream season. It’s also prime wedding season. And if you’re an ice cream lover that’s also getting married, be ready to say “Yes!” to Blue Bell’s newest flavor – Bride’s Cake. 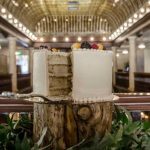 Bride’s Cake is an almond ice cream with white cake pieces surrounded by a rich amaretto cream cheese icing swirl that no one will object to. Blending the flavor of wedding cake with ice cream, it really combines the best of both worlds. Of course, with every bride there should be a groom. 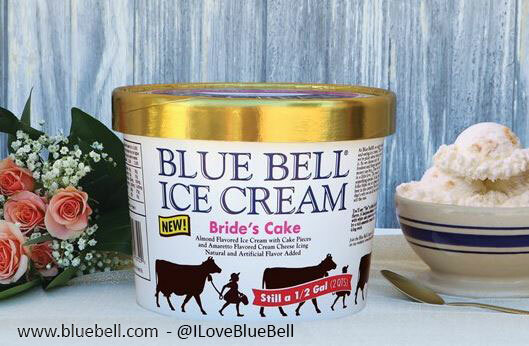 Blue Bell has also announced that it is bringing back Groom’s Cake Ice Cream. Previously available in 2009, this flavor is chocolate ice cream with chocolate cake pieces and chocolate-coated strawberry hearts, surrounded by swirls of strawberry sauce and chocolate icing. But you better rush down your grocery store aisle soon! Both flavors are only available for a limited time. For a store in your area, visit www.bluebell.com. 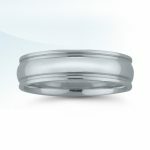 Not everyone wants a ring exactly like what’s in many jewelers’ showcase. 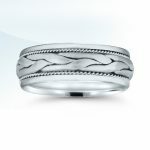 Novell’s new Custom Shop specially created this incredible anniversary band* in 14kt white gold for one of our retailer’s important customers. 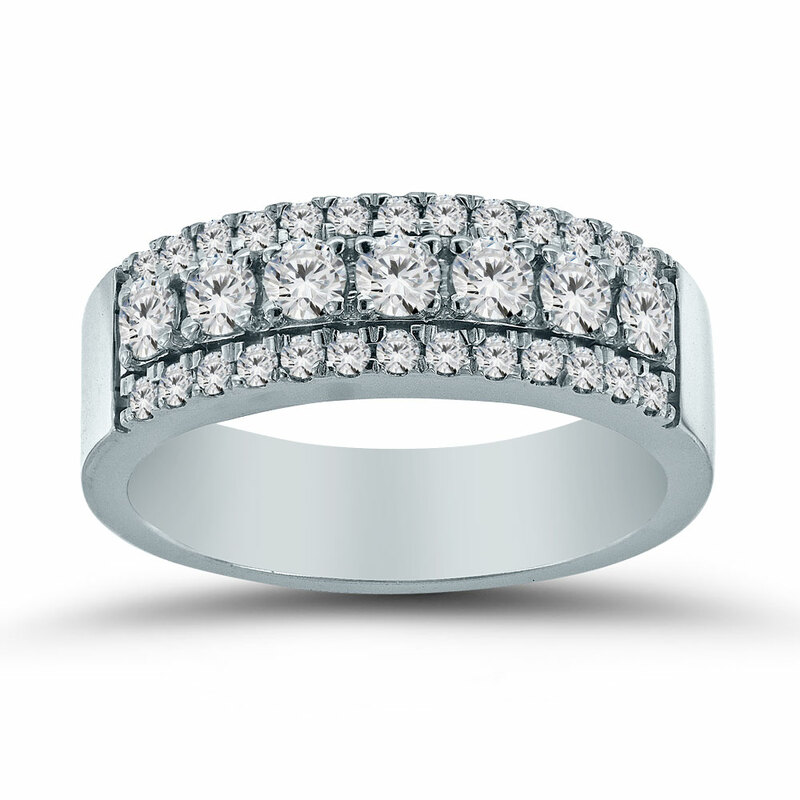 Seven center-set diamonds are surrounded on either side by twenty-six smaller one point stones. 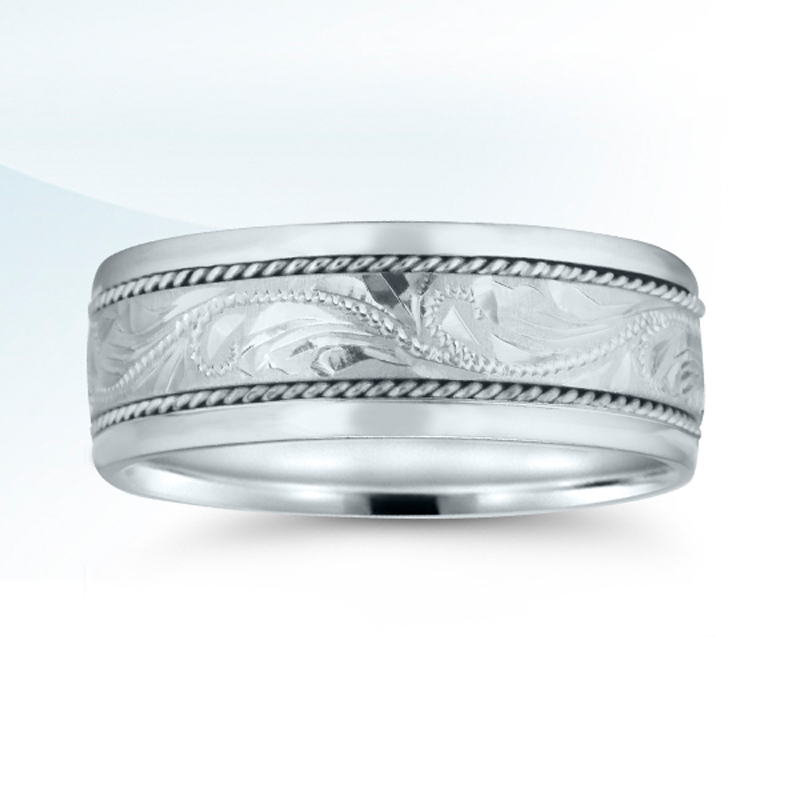 Want a ring made just for you? Ask one of our authorized retailers to contact our Custom Shop today! 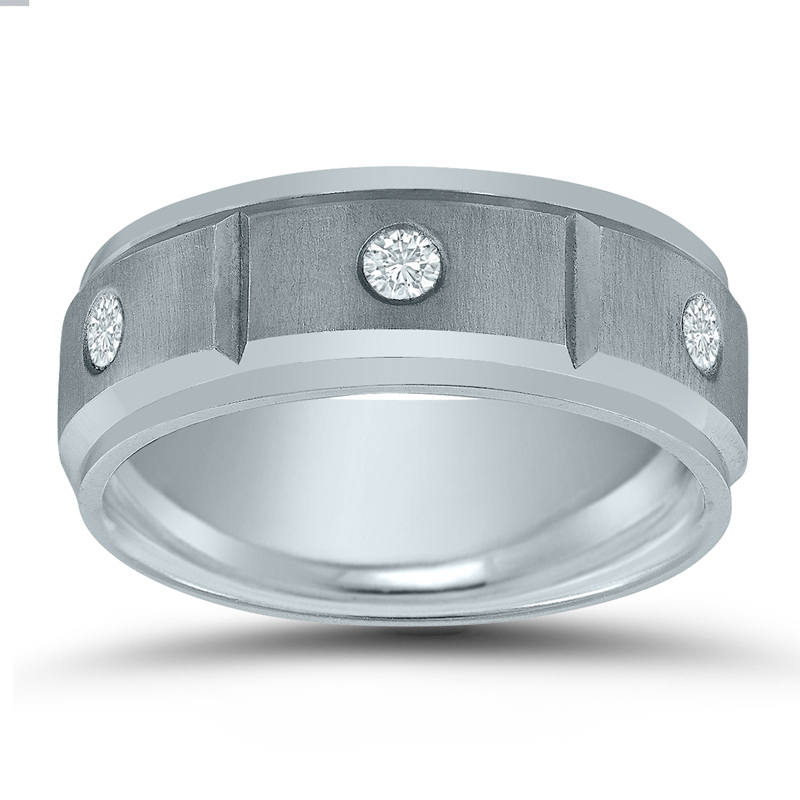 *This custom ring features 7 x 2.5pt diamonds in the middle, with 26 x 1 pt. diamonds on the sides. 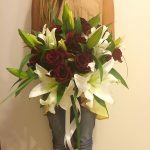 Need an Awesome Designer for Your Wedding Flowers? 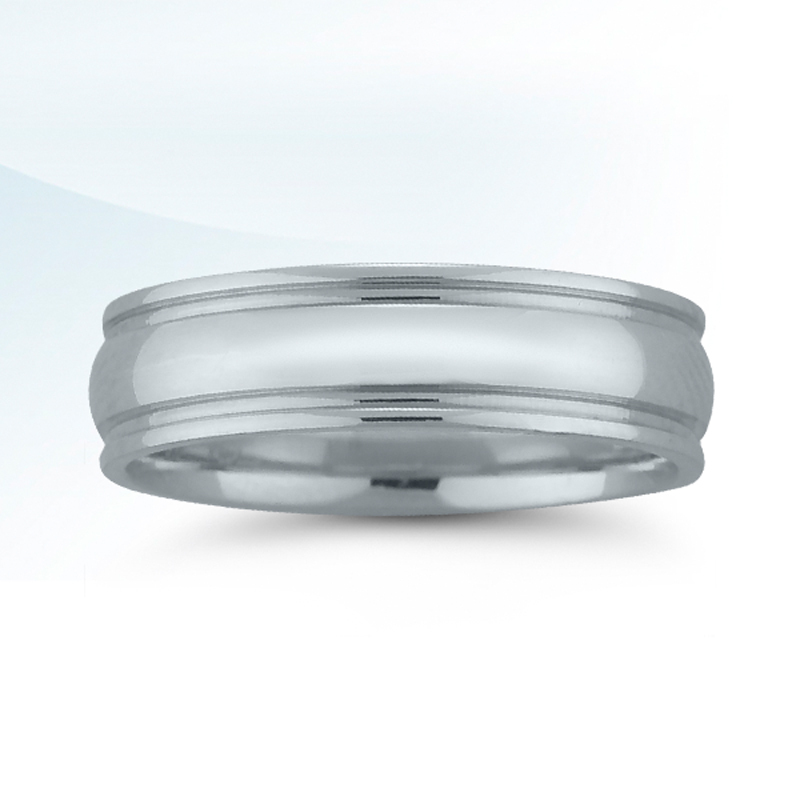 Your list of wedding preparations gets shorter as the big day approaches. You’ve just checked off wedding music and invitations. Next up – wedding flowers. You have numerous floral-related pins on Pinterest. 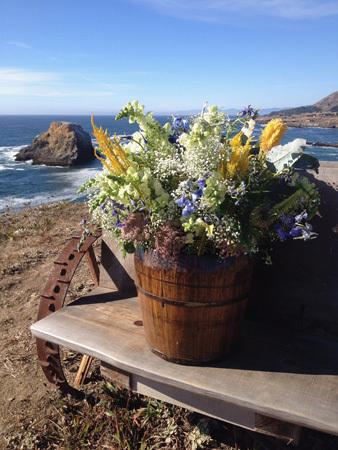 Wedding flowers are constantly on your mind. The only problem is getting started. 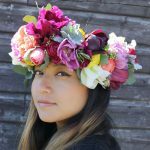 If you need help turning your wedding flowers vision into reality, Cassandra Shah may be the perfect floral designer for you! Cassandra freelances for renowned floral designers all over the United States. 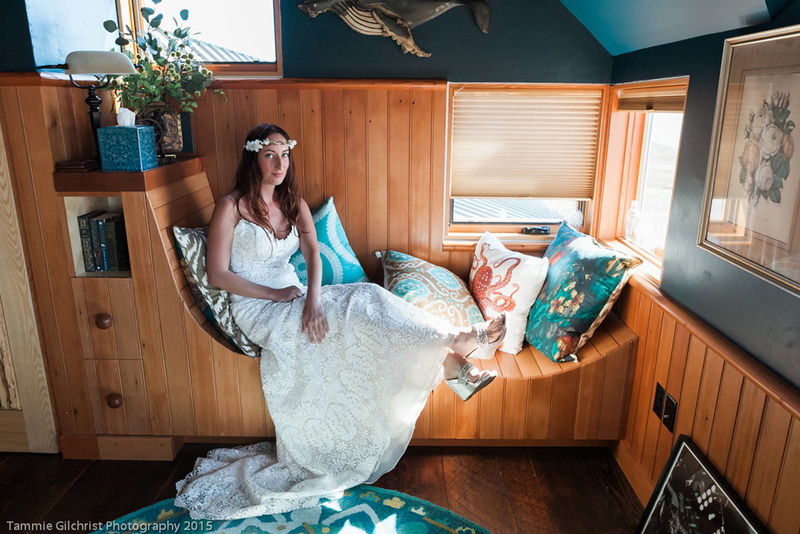 Although based in New Jersey, she can travel anywhere for the right bride. She recently has had the opportunity to work with designers from England, Scotland, Ireland, Canada, and Australia. 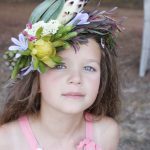 Her services include all things flower-related. 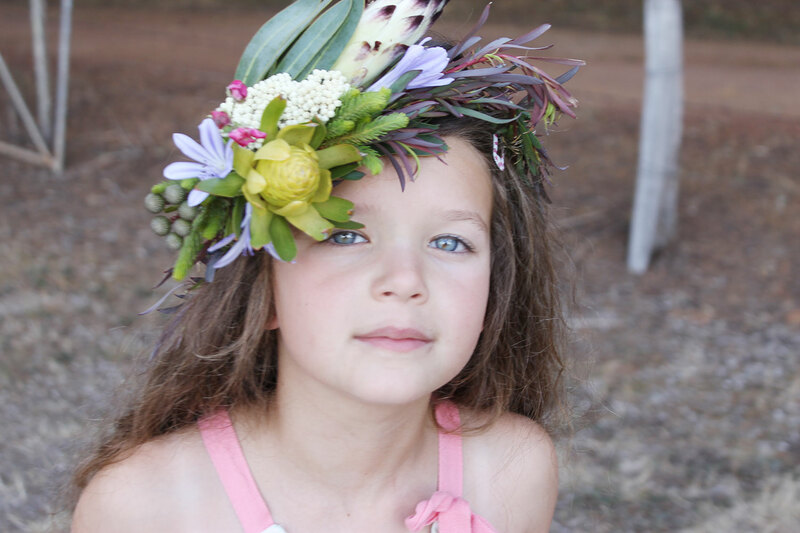 If you can dream it, she can create it – centerpieces, bouquets, flower walls, hanging installations. The crazier the better! Her goal is always to make every bride and groom happy. And to enhance the inherent beauty of the wedding. 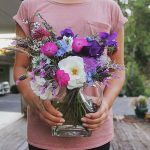 Having an eye for beauty, Cassandra taught herself how to design floral arrangements after observing other designers work. 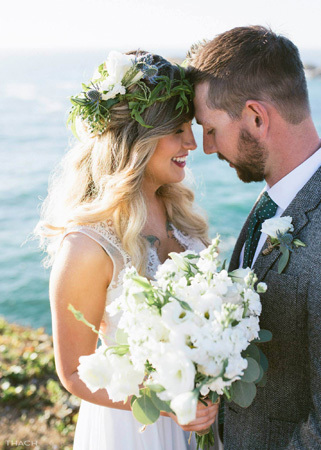 She first started working as a designer in 2013 at Tracey Reynolds Floral Design. A graduate of Rutgers University with a B.S. in Marketing, Cassandra is now starting her own business. 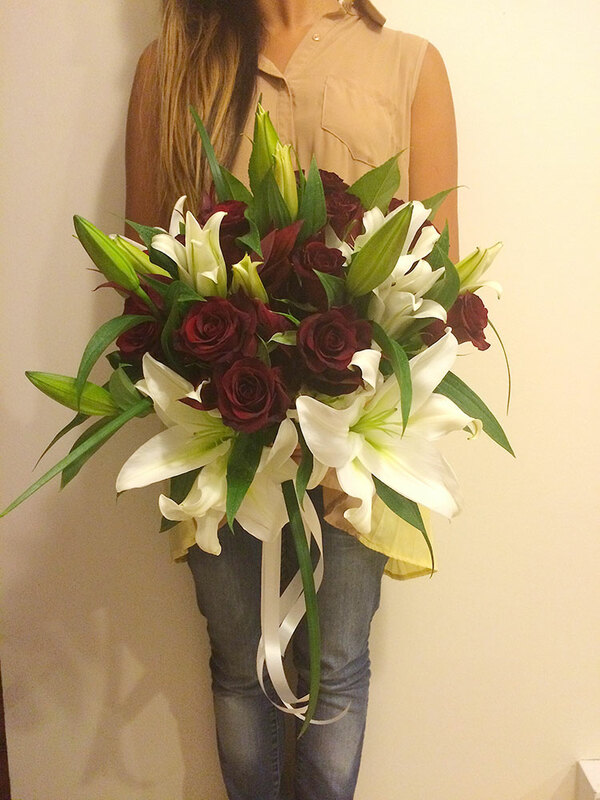 If you love her beautiful floral arrangements as much as we do, contact Cassandra today! Walk Down the Aisle to the Beautiful Sounds of Linsay Setzer! One of the biggest decisions you’ll have to make when planning your big day is about wedding music. Wedding music is not just about choosing your first dance song. 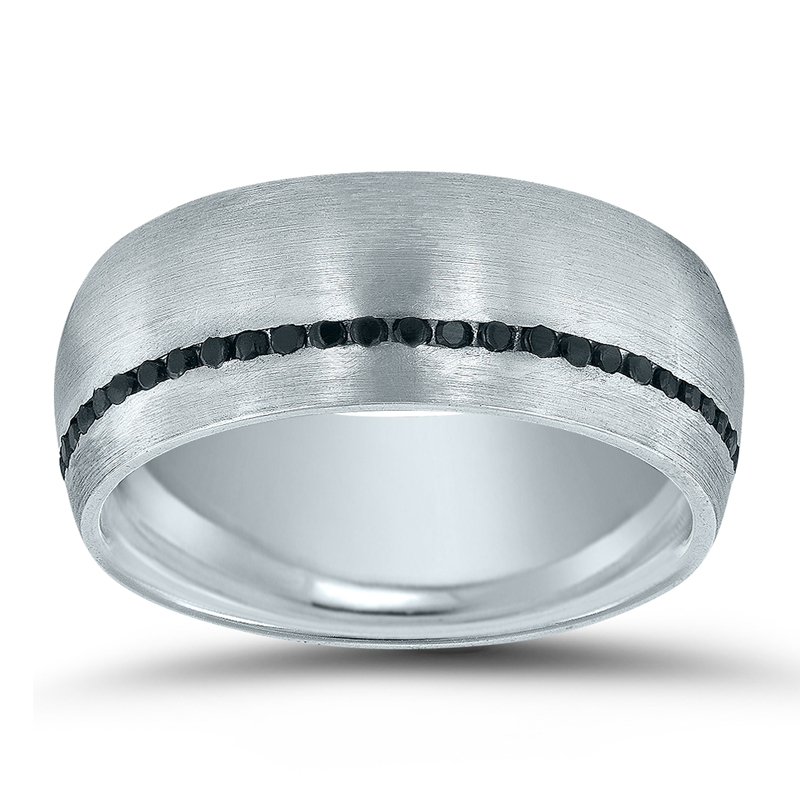 It’s also about what will be played as you walk down the aisle. 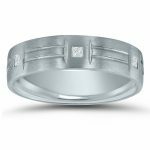 Whether it’s Pachelbel’s “Canon in D” or Christina Perri’s “A Thousand Years,” you may have dreamed of walking down the aisle to a particular song. The question now is how it will be played. Will you play a recording of the song or have an instrumentalist perform it? 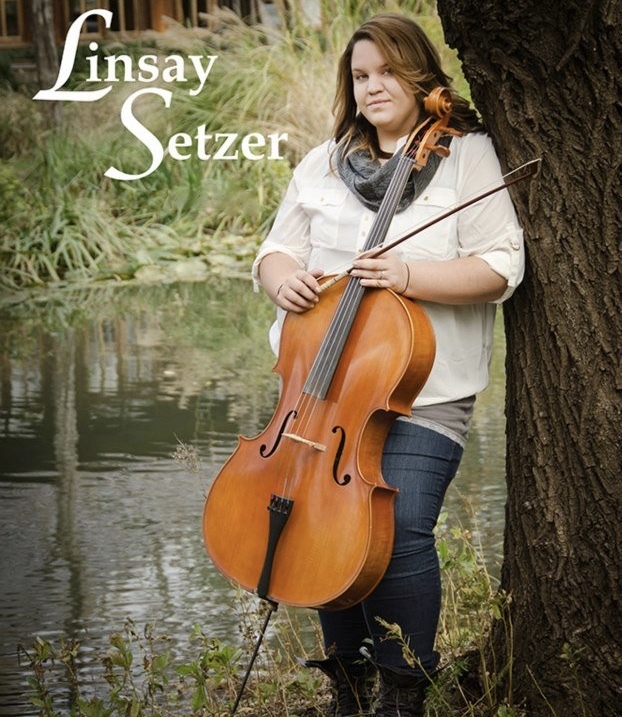 If you’ve picked the latter, cellist Linsay Setzer just might be the musician for you! Based in New Jersey, Linsay can travel anywhere in North and Central Jersey. She offers all of the traditional wedding songs, such as the “Bridal March” and “Trumpet Voluntary,” and can play any special requests you may have, granted you provide her with a recording or video. 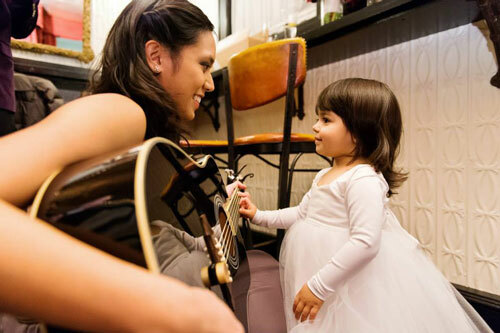 Linsay typically plays before the ceremony as guests are getting seated, while the wedding party processes down the aisle, and while the newly married couple exits the ceremony venue; however, she would be more than happy to play during other parts of the ceremony as well. Linsay started playing cello at the age of 10, having developed a deep appreciation for music through her family. She was drawn to the warm, lower tones of the cello and how the tone connected seamlessly with the qualities of her own voice. In high school, Linsay was a member of the Central Jersey Youth Symphony and the Greater Princeton Youth Orchestra. She then attended Montclair State University, where she participated in the university’s symphony and received a B.Mus. in Music Education with a concentration in cello. 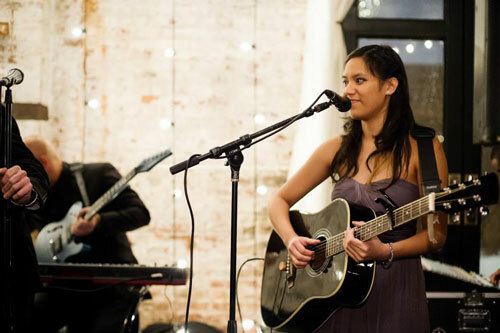 Since 2009, Linsay has been freelancing for weddings, church and holiday services, CD demos, and recording studios. Her favorite gigs are musicals, having played in numerous pit orchestras and over 25 musical titles. From 2013 to 2016, Linsay was the Director of High School and Middle School Orchestras in Nutley, NJ as well as the Cello Teaching Specialist for the Paterson Music Project. In addition, she has taught private lessons in cello, violin, piano, and voice. To learn more about Linsay, check out her Facebook page! If the sound of her cello warmed your heart (how could it not? 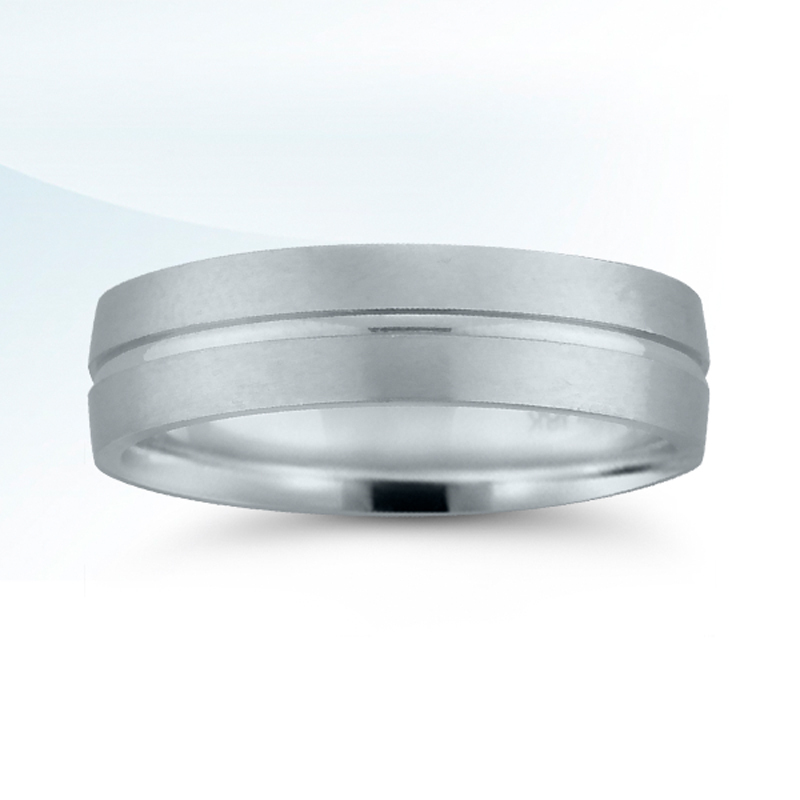 ), contact Linsay today and make your wedding day truly spectacular. Not long ago, when a bride-to-be wanted inspiration for her wedding planning, she ran to the local book store and bought every magazine on the newsstand. If the magazines weren’t enough, she went over to the book section to browse through whatever they stocked on the shelf. 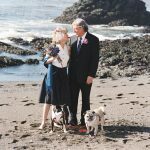 Aside from Martha Stewart, the wedding section usually contained the latest (yet often outdated) advice penned by the so-called experts of the day. Unfortunately, many of these books featured similar wedding advice and guidance. So if that eager bride-to-be wanted fresh ideas, she may have had to look far and wide. These days, things are a little different. The social media explosion has put a ton of wedding planning information on almost every phone or tablet in America. 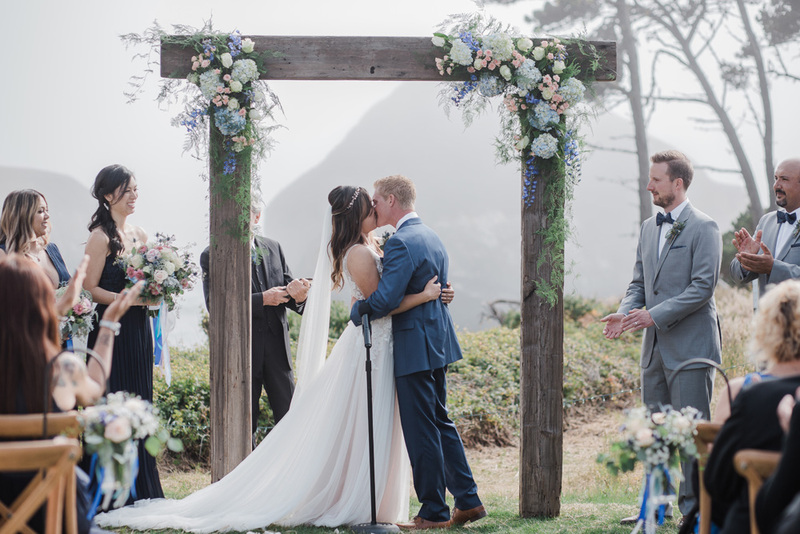 Alongside the typical Google search, wedding websites TheKnot.com and Engagement101.com introduce brides to the latest advice from a variety of established wedding resources and brands. The days of lugging half a dozen magazines home every month are gone. The expense is also almost completely eliminated. It’s easy to sit back on a couch and browse. 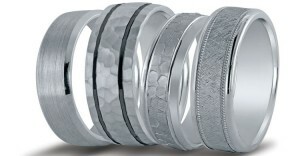 Tons of wedding ideas are at your fingertips. One of the latest resources for wedding inspiration is Pinterest. 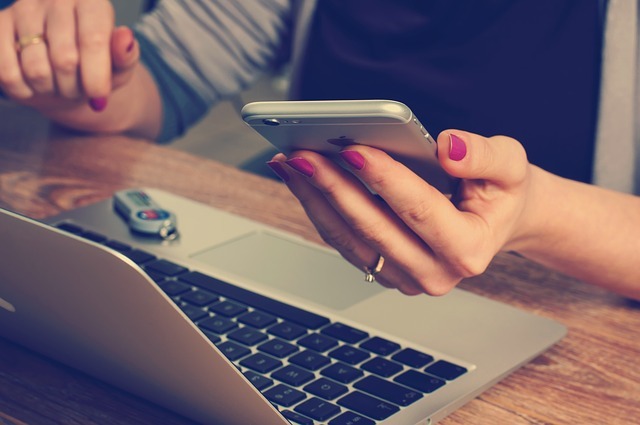 Google Trends recent reported that more and more people are typing “Pinterest wedding planning” into their mobile devices. Instead of having to read through search results and hope that a link contains wedding planning gold, there’s an almost endless stream of graphics. 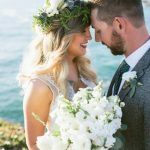 Pinterest offers a vast supply of insights and wedding planning connections. Need proof? 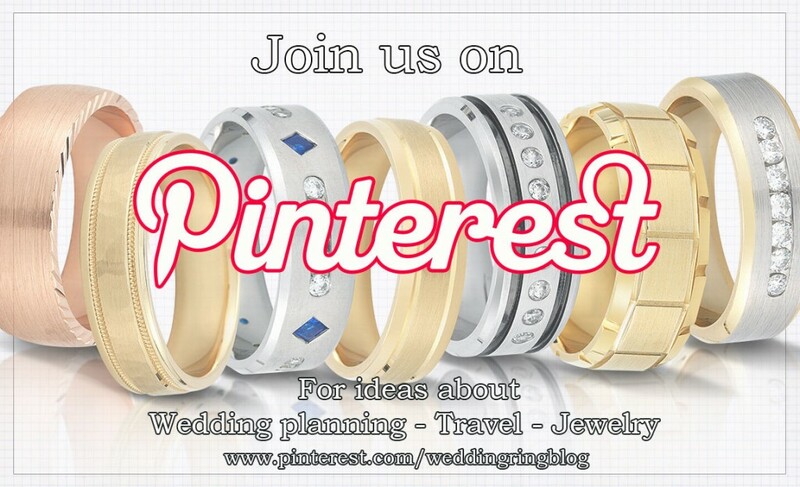 Feel free to browse our Pinterest wedding planning board below! Need a Wedding Singer in New Jersey? Meet Anna Bansil! Your wedding is almost all planned. You’ve tasted dozens of hors d’oeuvres, smelled quite a few flowers, and planned the seating arrangements. You’ve even decided against that costly ice sculpture (which melts away anyway). 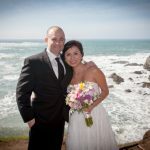 Now it’s time to make a decision on one thing that really helps sets the tone for the entire event – your wedding music. For most, the decision boils down to whether you want to have a DJ or live music. If you are having an intimate wedding and love live music – why not hire a wedding singer? Anna Bansil just might be THE wedding singer who can add that extra sparkle to your extraordinary day! Anna’s repertoire consists of songs that are perfect for first dances and cocktail hours. Elvis Presley’s “Can’t Help Falling in Love,” Bob Dylan’s “Make You Feel My Love,” Frank Sinatra’s “Fly Me to The Moon,” Ingrid Michaelson’s “The Way I Am,” and Otis Redding’s “That’s How Strong My Love Is” are just a few numbers she performs. Do you have a special request in mind? Anna is able to learn songs just for your occasion. Although she may include her own spin here and there, she always tries to stick as close to the original as possible. Anna has been singing since the age of 3, having developed a love for singing after watching the movie The Sound of Music. Throughout middle school and high school, Anna participated in All-State, regional, and church choir. She was also a member of the John P. Stevens High School Choir and Khorikos, an a cappella group based in New York City. Her education includes a BA in Music and a BS in Nursing. Aside from singing at weddings, Anna also records her own music. Some of her work can be found on YouTube. If you find yourself captivated by her voice, as we are, contact Anna today and make your wedding day truly unforgettable! 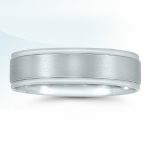 Wedding Lighting – Have You Given It Any Thought? Your wedding planning is all set. Your flowers will be fresh. Your gown is stunning. The photographer is highly recommended. And – God willing – the weather will be picture perfect. Every detail from what you’re wearing to the ice cubes has been combed over. But what about the lighting? 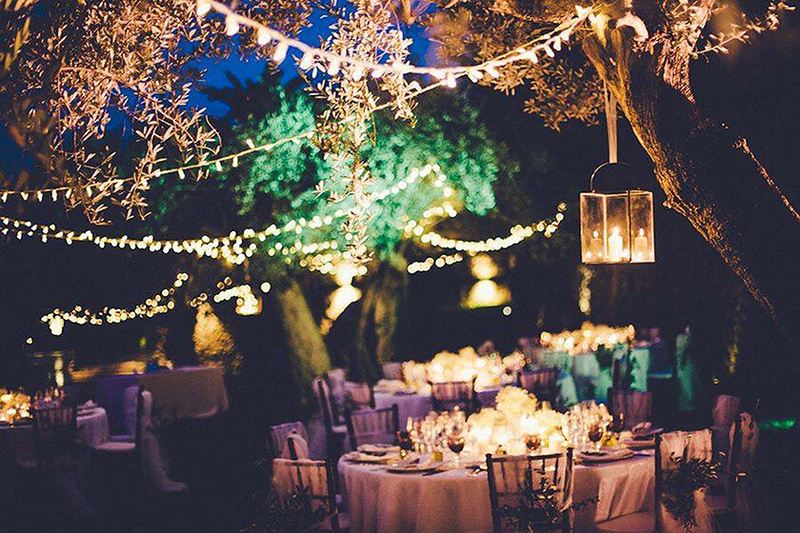 Will your big day have just the right lighting? Or how can you make sure that your lighting is environmentally friendly? These days, the latter is an important issue! Our friends at LED Lights UK have a few ideas. You can keep your fingers crossed for great weather and have an outdoor wedding. Natural light always looks great in pictures if everything falls into place. Although many consider rain on a wedding day to be a sign of good luck, most brides-to-be pray for a sunny, cloudless afternoon. Sunlight is also free. Your hors d’oeuvres, sadly, are not. Another nice lighting source is lit candles. Candlelight is very romantic, while flickering lights create a wonderful ambiance. 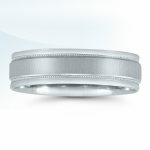 When placed close together, candles also mix flame with shadow, which will look very cool in wedding pictures. And who doesn’t want THE COOLEST wedding pictures in their album? Yet there is a downside. Imagine your drunk uncle losing control dancing the Macarena and tumbling into a table. Flame on! Candlelight is also affected by drafts or sudden winds. 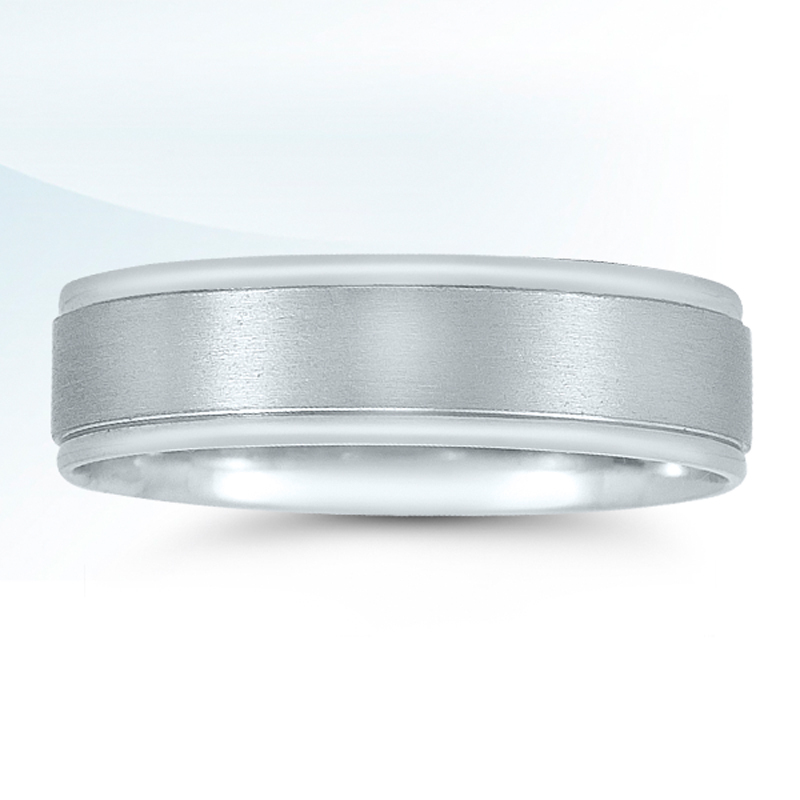 You may find yourself lighting and re-lighting things all wedding long. But WAIT! What about rechargeable candles? They give the same appearance of flickering light without the muss and fuss of real candles. I think we may have a winner! Yet another option is soft, power saving light bulbs. 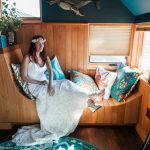 If you really want to get on the good side of your socially conscious friends, you can lessen the environmental impact of your entire wedding through solar power. A solar powered generator can run the heat or air conditioning. It can even help plug-in the band. Not practical? String some little fairy lights that collect energy during the day from the sun. They’ll provide a little glow all around the reception. 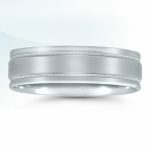 A final consideration for your wedding lighting might be utilizing just a little bit of everything. Have rechargeable candles on the guest tables. 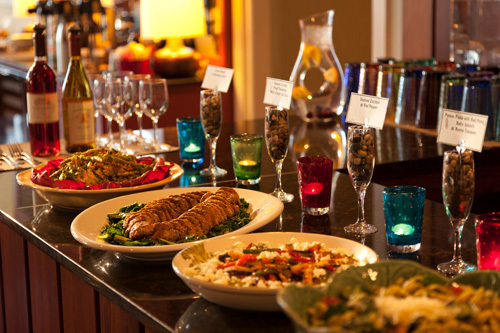 Place wax candles on the buffet or around the drink bar. Fairy lighting hanging from the ceiling. Or even in between seating areas. Don’t settle for just one form of lighting when a little combination of everything might get the job done. There are a lot of choices. Mix and match. 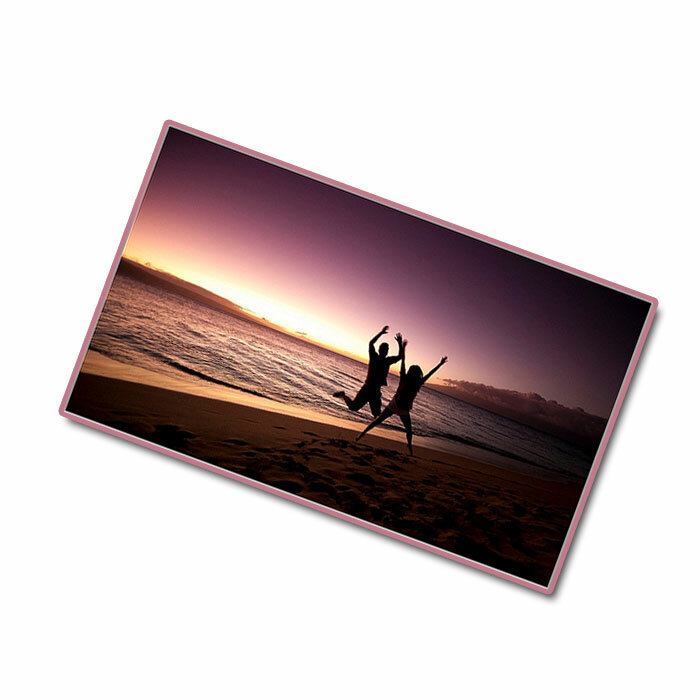 Above all – have fun! For more ideas about lighting, please visit LED Lights UK today! Wedding planning is all at once exhilarating and stressful. There are a million details that you may never have previously thought about. 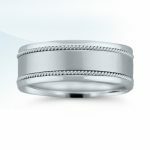 Nor knew how important something particular may be for your special day. Once it’s all over, hopefully you have a million awesome pictures and even more awesome memories to last a lifetime. But what happens when the honeymoon is over? And it’s just the two of you? Where do you turn for advice? Many younger couples tend to live together prior to their wedding. However, some do not. Suddenly waking up next to someone on a daily basis may need some adjustment. There will be good days, bad days, wonderful days and boring days. 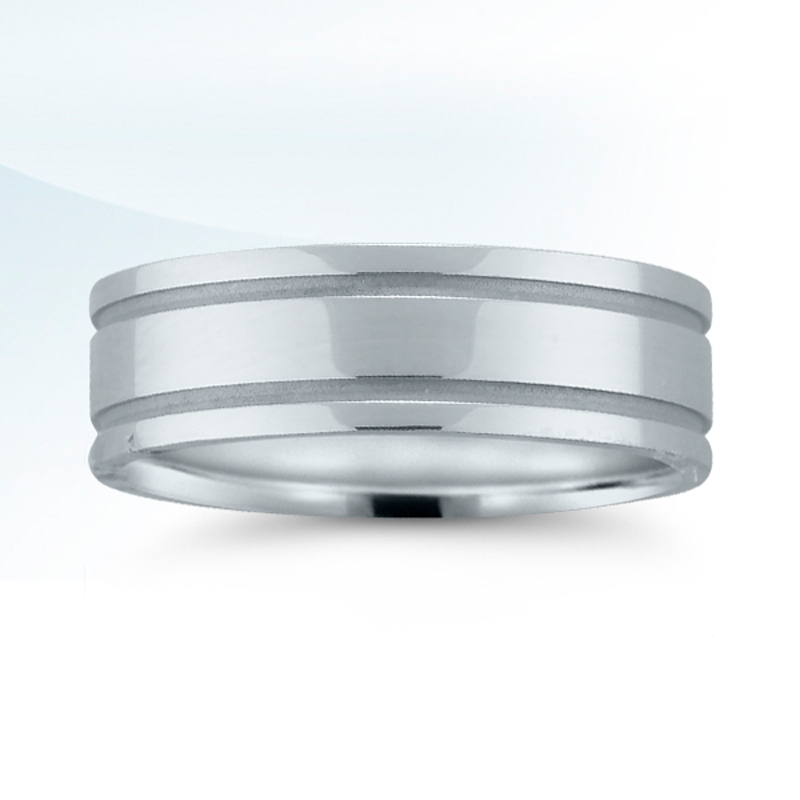 It’s important to remember that marriage is a long, winding road with bumps and turns. One day will be smooth. The next might be lousy. And you won’t always get along. Here are some common but sometimes overlooked issues you will probably face after the honeymoon is done. Talk about Finances: Have a talk about debts, spending habits, budgeting, and whether or not you’ll have joint banking accounts. 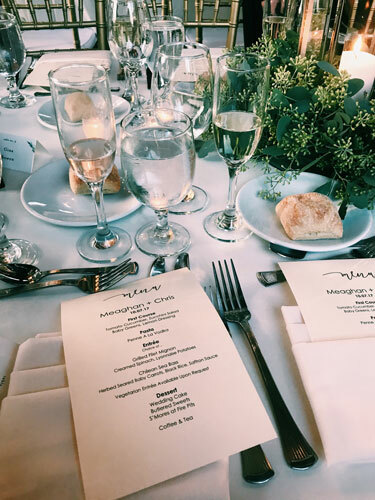 Reconnect with Friends and Family: Wedding planning can be long and drawn out. You sometimes don’t realize that you’ve been neglecting your friends. 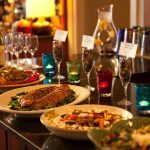 Now is the time to wind down and get back to socializing with friends, family, and even other couples. Don’t Sweat the Small Stuff: It is important to pick your battles wisely. This is especially important. It is common to go through arguments about things. But don’t let it carry over to the next day. Cry Around Each Other: Crying in front of the other person is a milestone. Especially an ugly cry- it means that you’re totally at ease with one another. It’s Okay to Have Alone Time: Everyone gets moody. It’s okay to just take a second to yourself. Or a minute, or an hour. But try not to take more than an hour. Things can fester. As mentioned before, it’s better to resolve a dispute sooner rather than later. Sounds easy – doesn’t it? Hopefully there will be plenty more good days than bad. Building a happy life can be hard work. It may even be easy at times. But it definitely will not be the same for every couple. 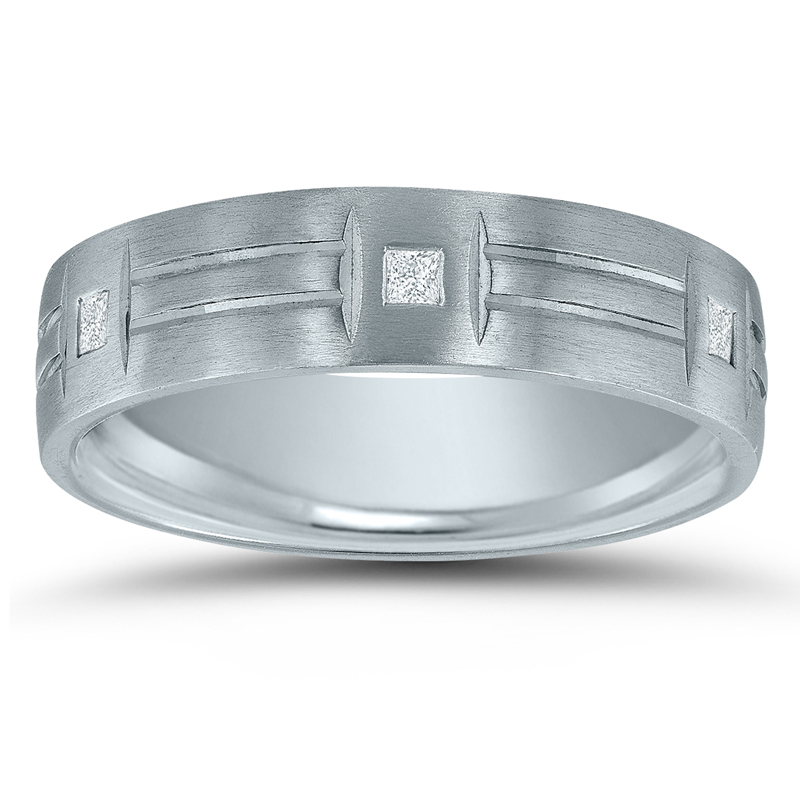 What Do You Know About Palladium? 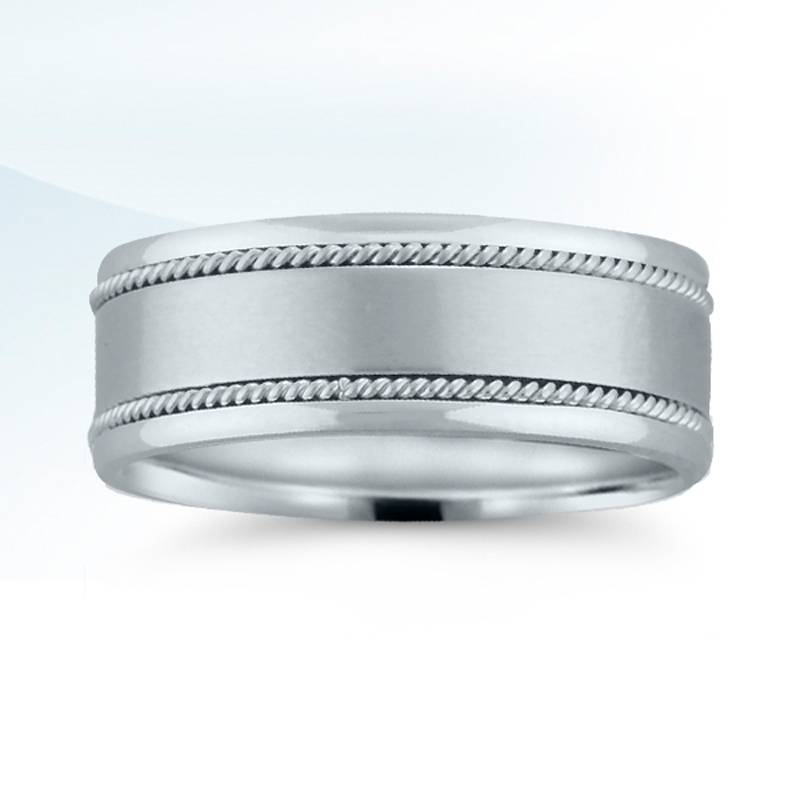 Novell’s American-created wedding bands can be made in platinum, palladium or gold. Just ask your local retailer! 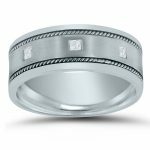 Just about ten years ago, Novell Design Studio started offering palladium as an option for our precious metal wedding bands. 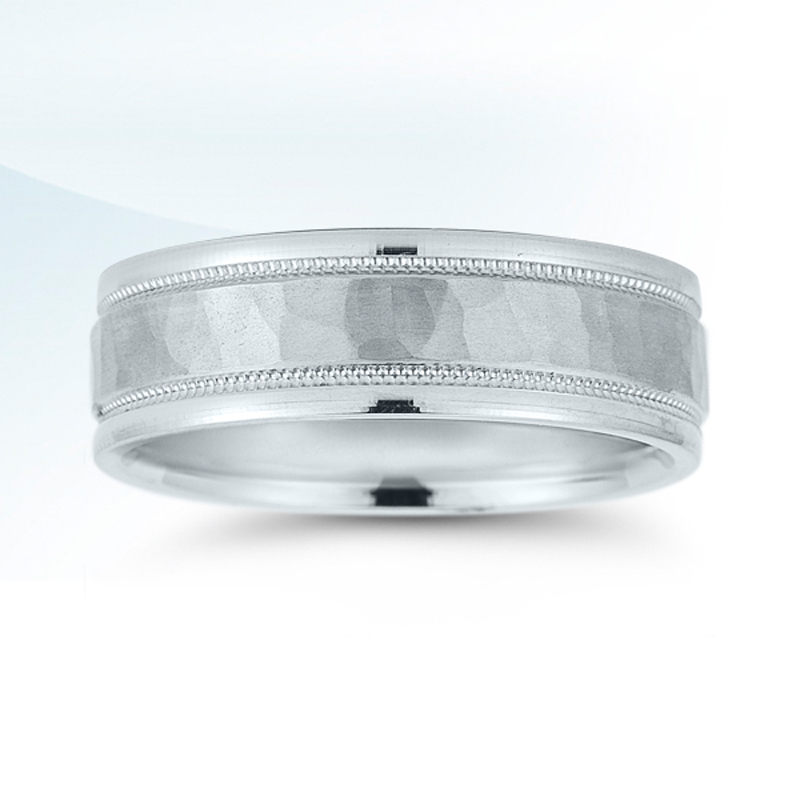 Not all manufacturers or jewelers work with palladium well, but we’ve been very successful utilizing it. Surprisingly, its popularity has had highs and lows. It really is a great choice for your wedding band when platinum is not an option, but has yet to catch on among the brides and grooms-to-be. 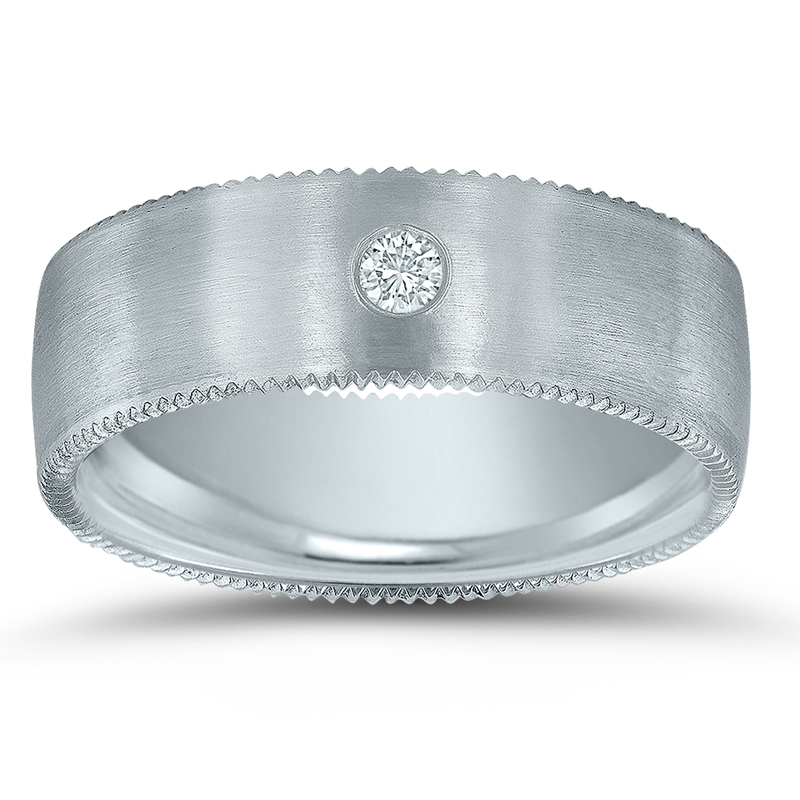 At bridal jewelry events all across the country, consumers do ask about this white metal. 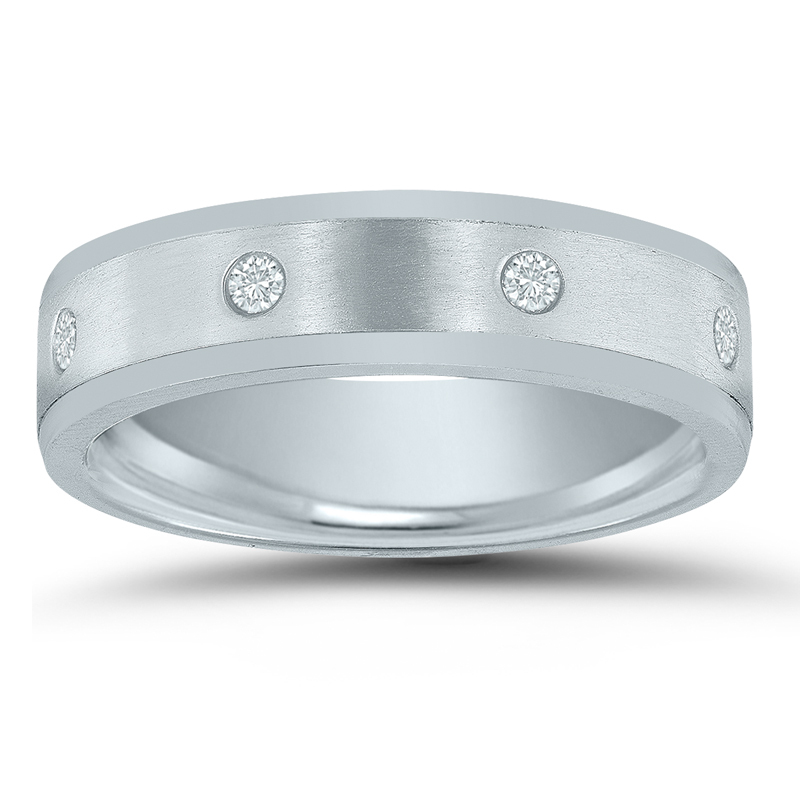 However, most choose white gold even though palladium may be the better selection. 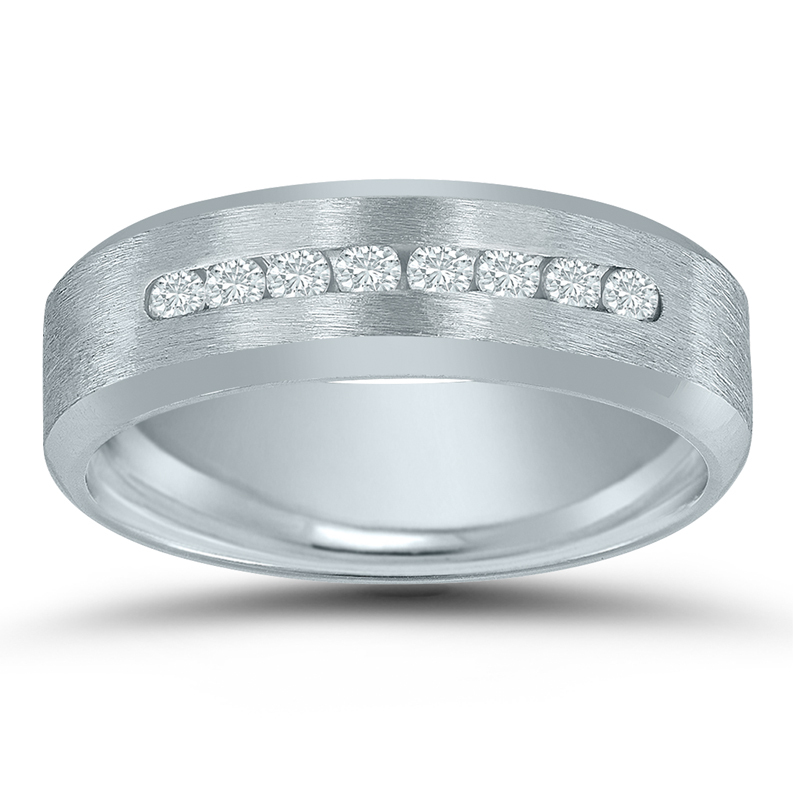 Palladium is a precious metal, so it can be resized and refinished. 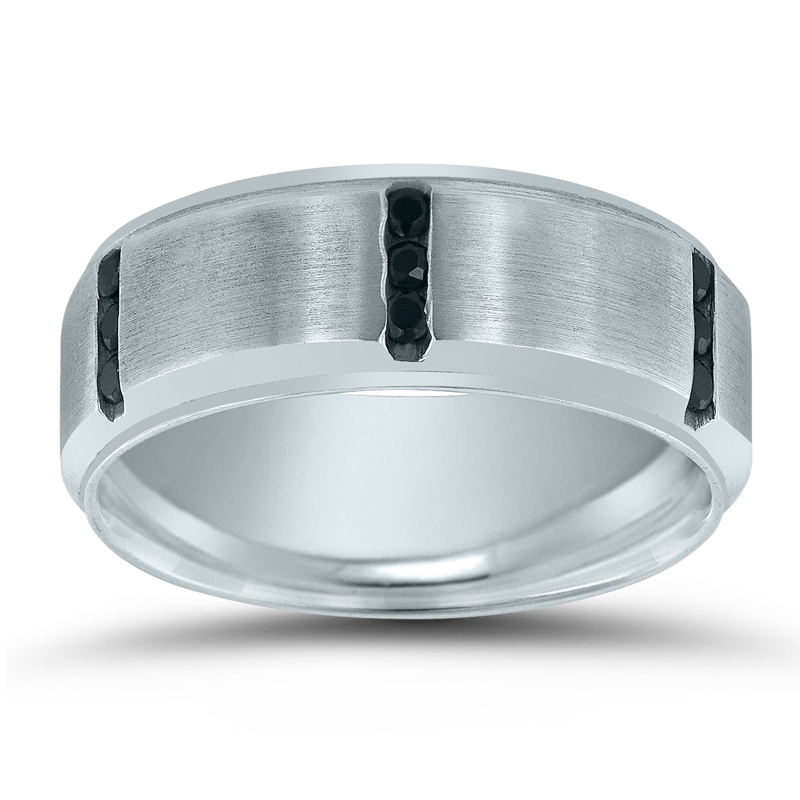 Alternative metals such as titanium or tungsten cannot be sized. Palladium is part of the Platinum Group Metals family. Palladium is naturally white. 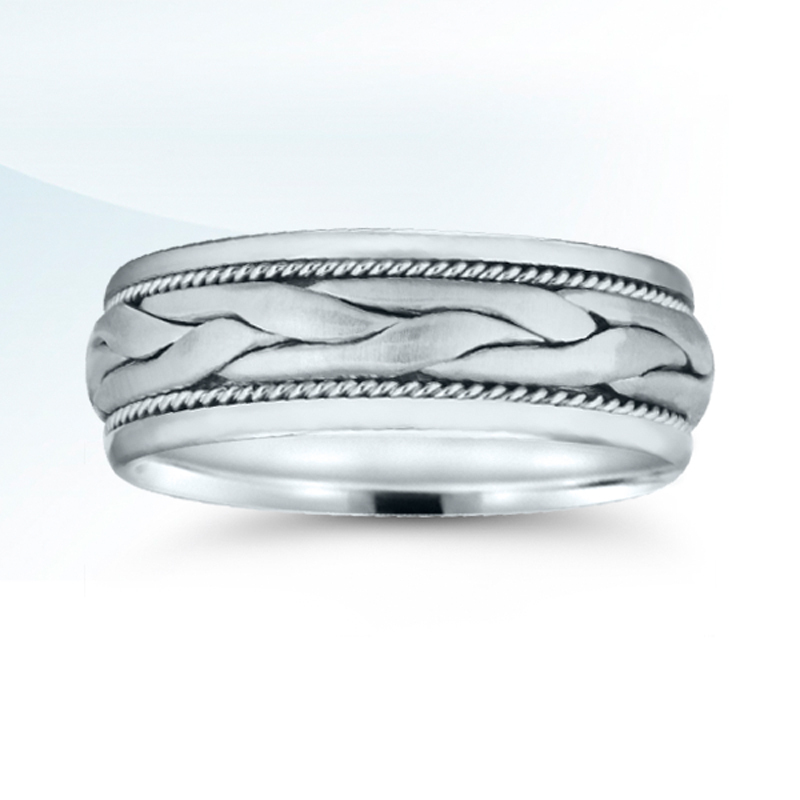 Keep in mind that white gold is not, and may turn yellow over time. 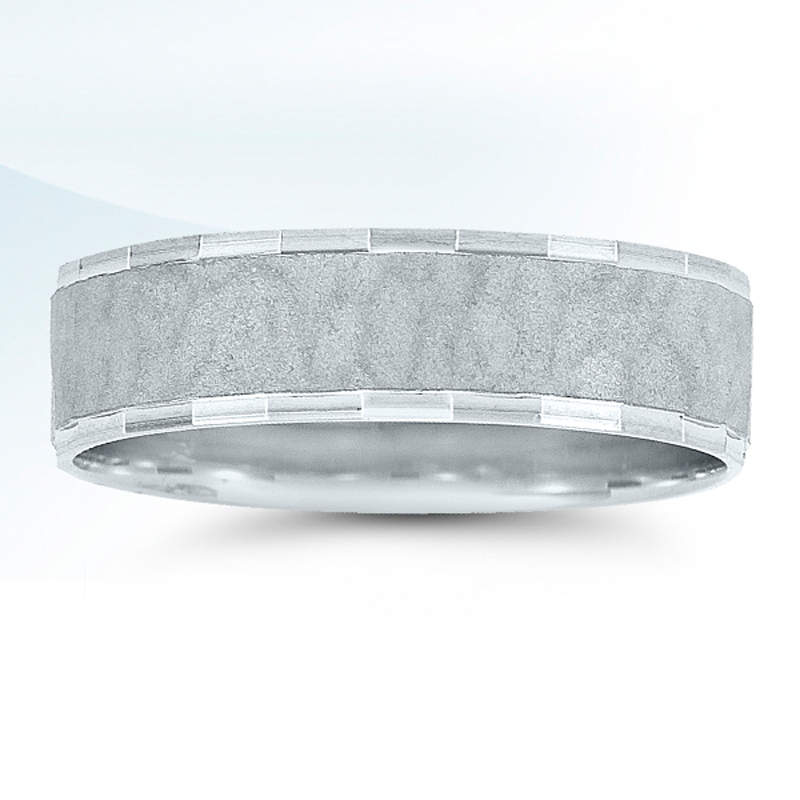 Although similar looking to platinum, palladium is not as dense. 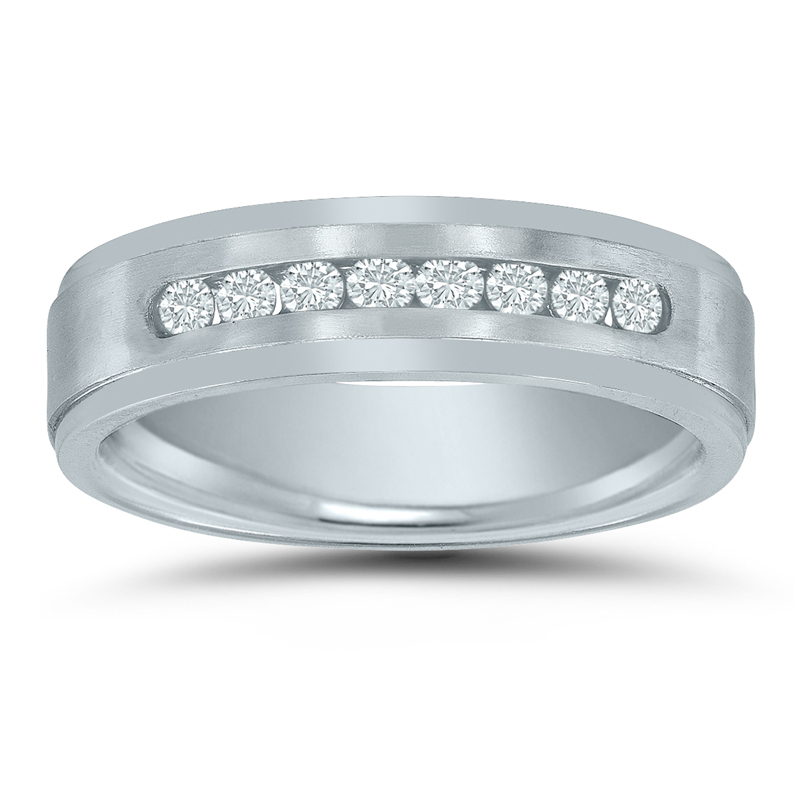 Platinum is the superior metal for bridal jewelry. 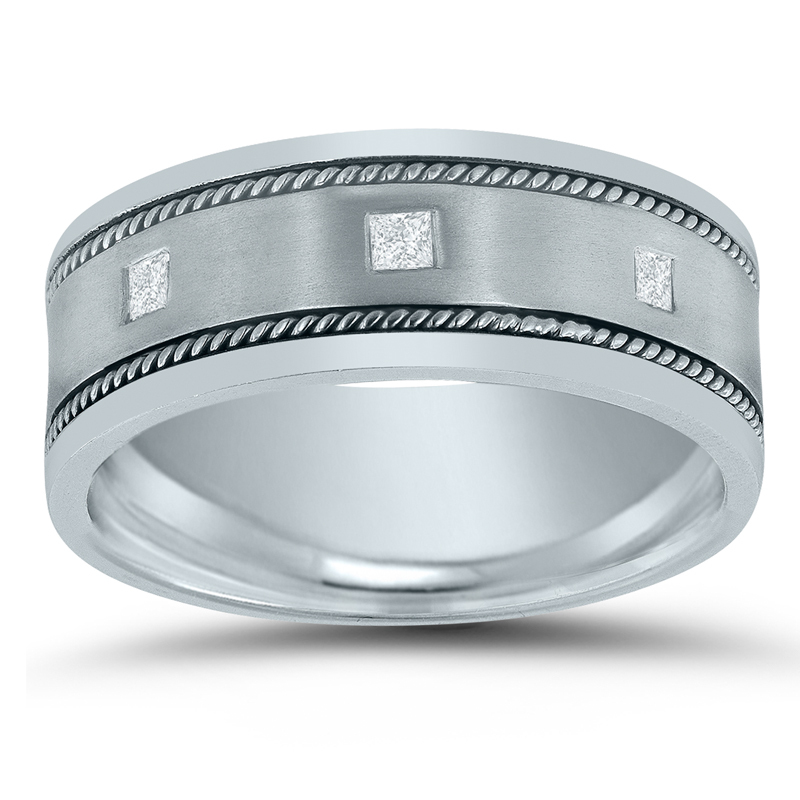 Palladium is a good choice if platinum is not an option due to its price. Need more help? 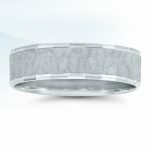 Take a peek at our metals chart to compare the pros and cons of all popular wedding band metals side-by-side. Vera Wang has designed wedding dresses for top celebrities like Jennifer Lopez, Ivanka Trump, Mariah Carey, Khloe Kardashian, and many more. She is now launching her very own wedding planning app. 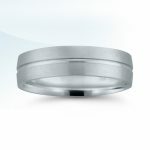 Now only does the app help brides search for wedding dresses, but also flowers, cakes, and other wedding related things. The app is called “Vera Wang on Weddings” and will be sold at the app store for $9.99. Will You Let Strangers Plan Your Wedding? 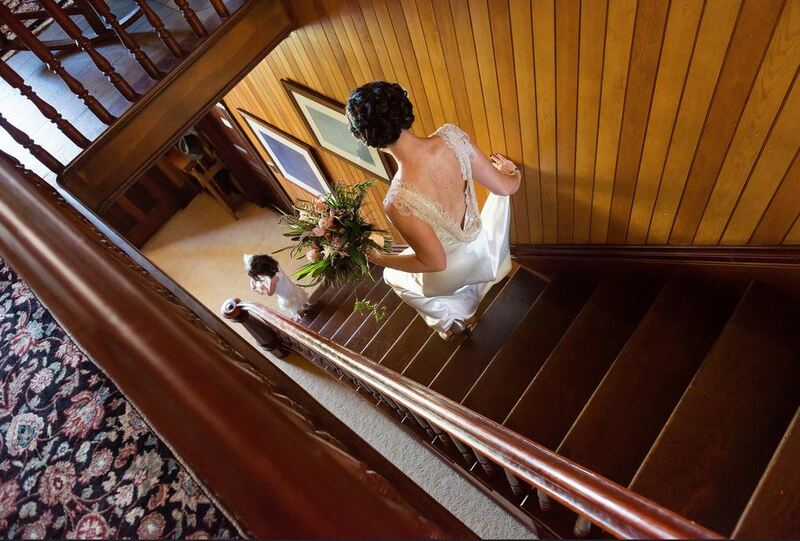 Most brides like to plan their wedding from top to bottom. But, would you let strangers plan your entire wedding for you if it was free? This brave couple did. 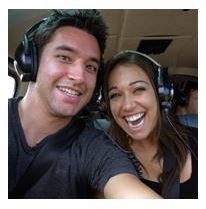 Sierra and Andre entered into a contest on The Knot.com where they thought they would be winning an all-expense paid wedding. However, when they won they didn’t realize that The Knot’s readers would be planning their entire wedding. From wedding dress, to venue, even down to the cake. There marriage would also be live-streamed on the website for anyone who wants to attend. Pretty scary right? Some Great Caribbean Honeymoon Locations! Are you looking for some fun in the sun? Great! A Caribbean honeymoon destination will be perfect for you. The Knot is helping you chose between 9 perfect sun-drenched islands. Bahamas is one of the most visited islands, and also voted as a “favorite” by recent honeymooners. 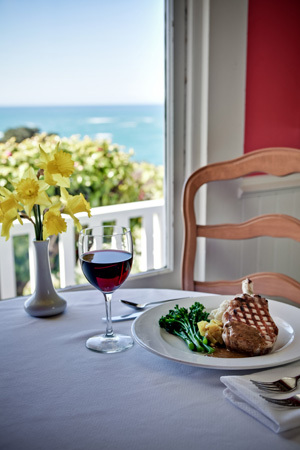 If you’re in the mood for great island cuisine, try Jamaica. 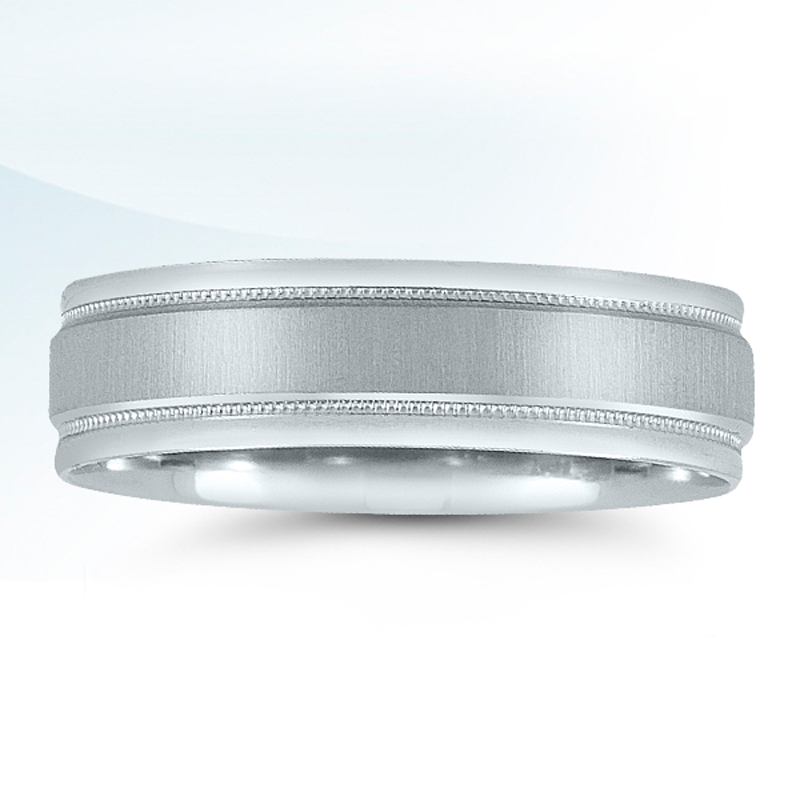 Any of the 9 islands provide to you by The Knot will be an amazing experience for you and your lifetime partner. 10 Wedding Cakes You Just Have to See! 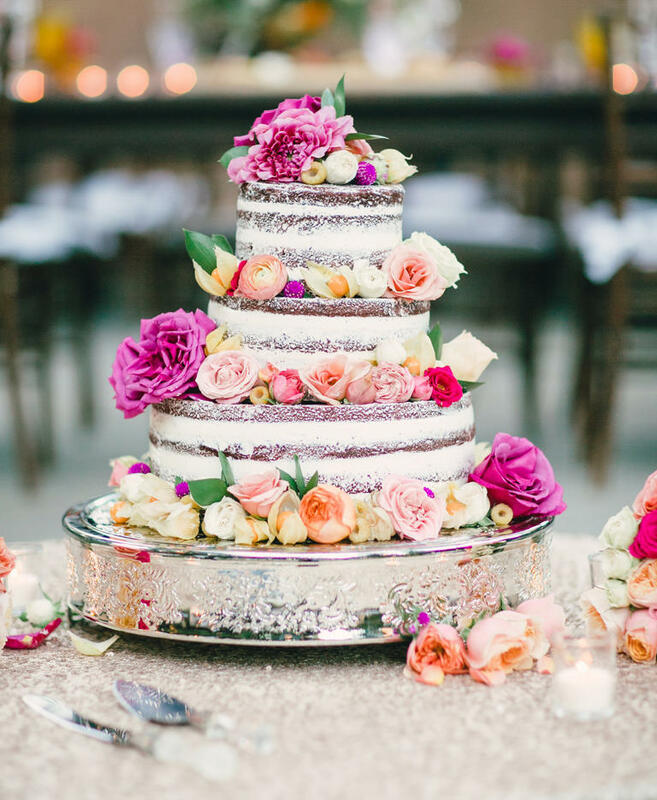 Finding just the perfect wedding cake can be super sweet. It is becoming ever so common for brides to choose a less traditional wedding cakes, and going with something extravagant. 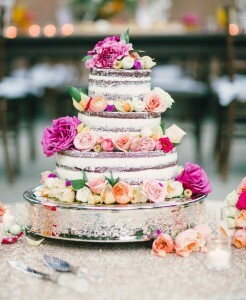 The Knot is providing 10 unusually beautiful wedding cake ideas to top off your special day. Happy cake browsing! Wedding Day Beauty Tips to Help You Look Perfect! Looking absolutely fabulous on your wedding day goes without saying. Everything from your hairstyle to having a picture perfect face has to be just right, as they are preserved forever in pictures! Although you probably have things all mapped out, here are some awesome beauty tips provided by Real Simple to keep in mind while you get ready for the big day. It’s totally fine to have the wedding jitters. 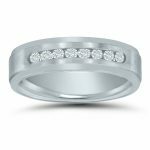 Being newly engaged and partaking in the wedding planning activities can sometimes be overwhelming. But, you’re not alone. The Knot is providing you with a few simple tips on how to keep things under control. Wedding planning can cause an overload of stress. From picking the perfect dress, venue, honeymoon destination, and even choosing your bridesmaids can be stressful. But it doesn’t all have to be. 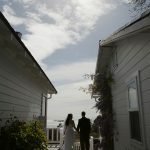 Skyblueprint.com is giving you the ultimate guide to a stress free wedding. 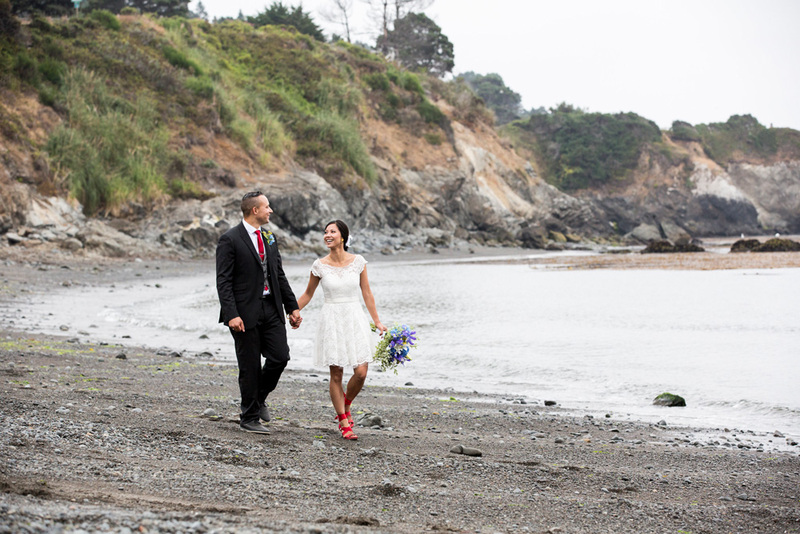 With this guide, your wedding day is sure to be one to remember- just without the stress. 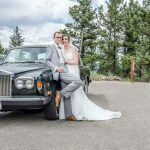 Need Help with Your Wedding Planning? Join Us on Pinterest! These days, social media is the hub of daily life. Pet pictures. Status updates. Location tags. Images of yesterday’s dinner. It’s all on Facebook, Pinterest, Twitter, Instagram and many other social media or blogging platforms. Should you need ideas for just about anything associated with planning your wedding – jewelry, travel suggestions, planning advice, cakes – just visit our Pinterest page! We update almost daily on a vast variety of topics. 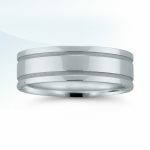 It really is your one stop for a plethora of wedding-related suggestions. Follow us today! More and More Women are Popping the Question! The traditional marriage proposal begins with a man getting on one knee and asking for her hand in marriage. However, more and more women are starting to take the initiative, and pop the BIG question first. This has many asking – should a women propose marriage? 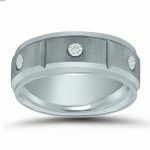 The Huffington Post article What People Really Think About Women Popping the Question explains what people initially believe when they see a woman proposing marriage to a man and why. The bachelor party is probably the best part about the wedding planning process for the groom. As some would say – it’s his last bit of freedom . So how do you make it epic? I mean – REALLY epic? There are a million different places to have a bachelor party, so how will you decide? If you need a little help, The Plunge is giving the top 10 Bachelor Party Locations in North America. Check it out! Giving a speech at a wedding can sometime be tough. But it shouldn’t be if you’re the groom. 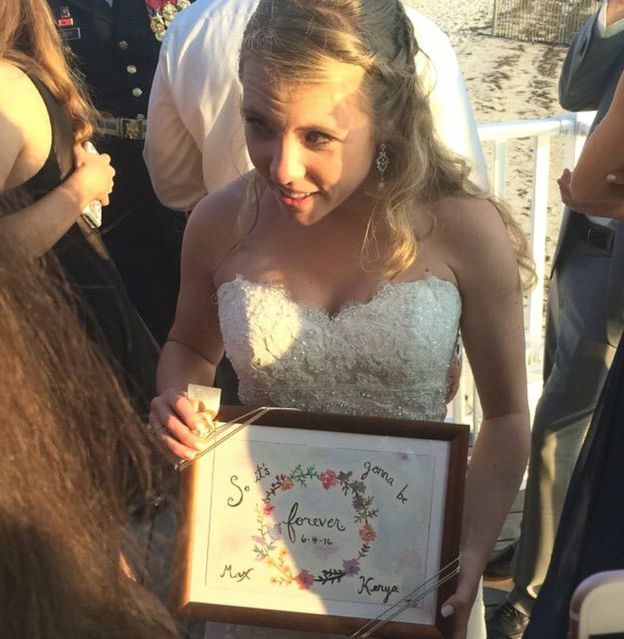 It’s your wedding, what can possibly go wrong? But if you find yourself struggling to find just the right words, here are 10 speech writing rules from The Plunge to keep nestled in your mind when you’re writing it. Need Help Choosing Your Perfect Honeymoon Spot? Choosing the perfect honeymoon getaway can one of the toughest wedding-related decisions you make. 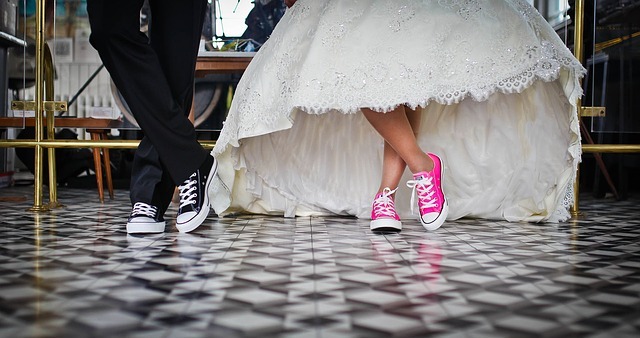 It ultimately comes down to how you would like to spend your first days as a newlywed couple. What do you enjoy – lazy sun bathing on a Caribbean island, visiting historic landmarks, or zip lining through a tropical forest? 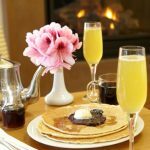 How to Choose the Perfect Honeymoon Spot details the most popular honeymoon locations in terms of price, ratings, and overall newlywed experience. **Image courtesy of Huffington Post/damien_p58 / Flickr. 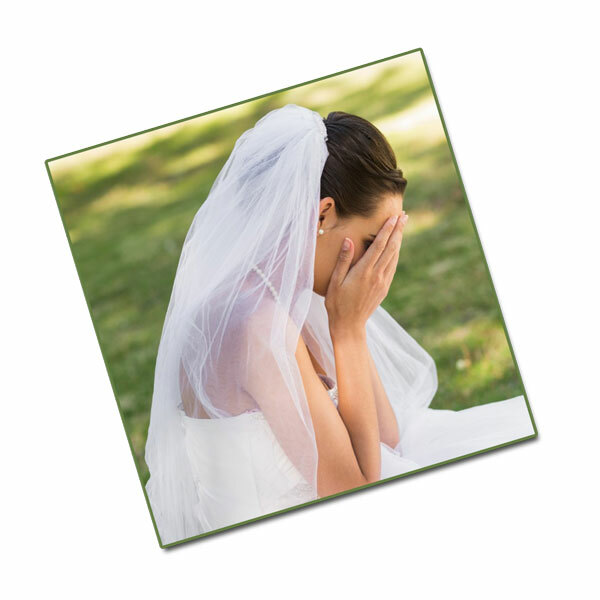 Are You Nervous About Speaking at Your Wedding? Public speaking can be the most terrifying thing to do. But here’s the great part – you aren’t delivering a speech to a 300 complete strangers; it’s a wedding, and you’re likely to be among people you already know and love. 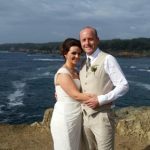 Here are some great tips provided by Easywedding.com to help you overcome your public speaking fears. Try to practice your speech numerous times, relax, talk slow, and take deep breaths. And to make things even easier, try to tell a joke to make the audience laugh. Announcing an engagement is such a memorable and joyous event. Nonetheless, revealing that precious news in an appropriate way is essential. 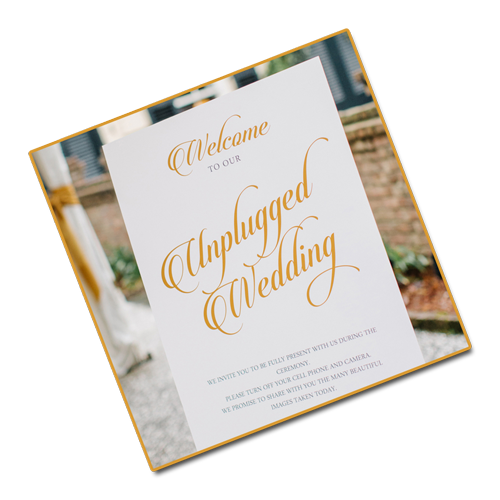 But not to worry – New Rules of Wedding Etiquette provides you with a helpful set of rules to follow whether you are the bride to be or even an overly excited guest. They also offer great tips on when to take photos, what not to share on social media, and when to change your relationship status on Facebook.